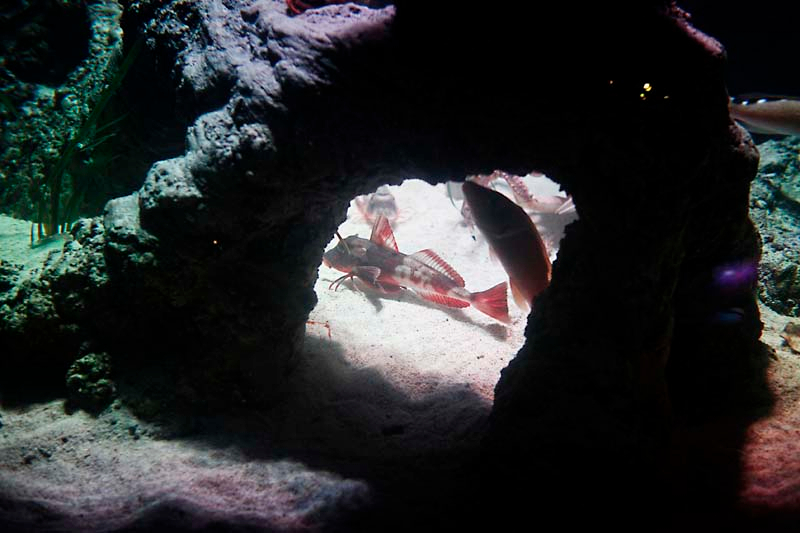 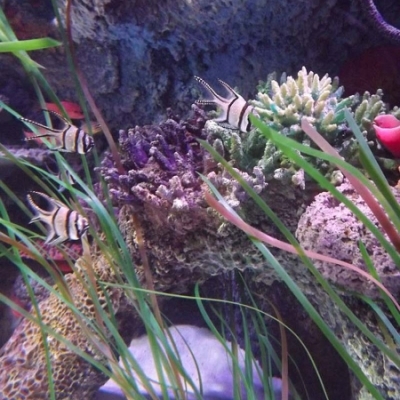 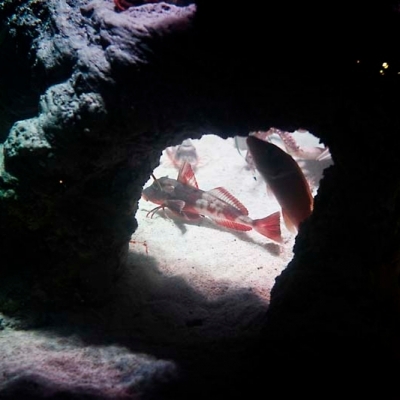 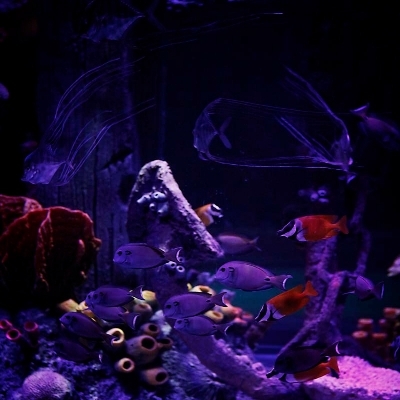 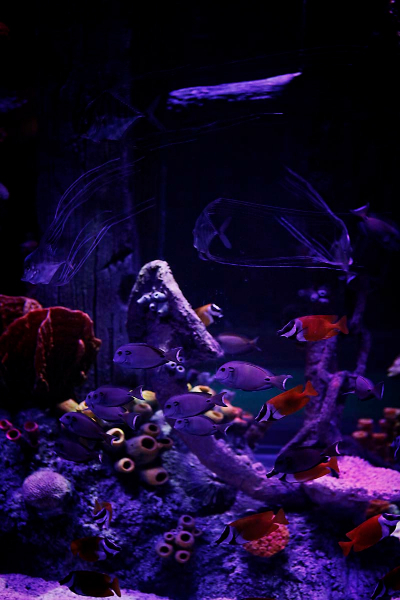 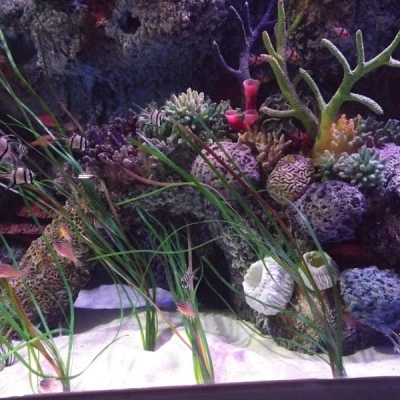 Keeping your specimen fish, or any other display animals, happy, healthy and relaxed in their captive home is all about replicating as near a natural environment as possible. 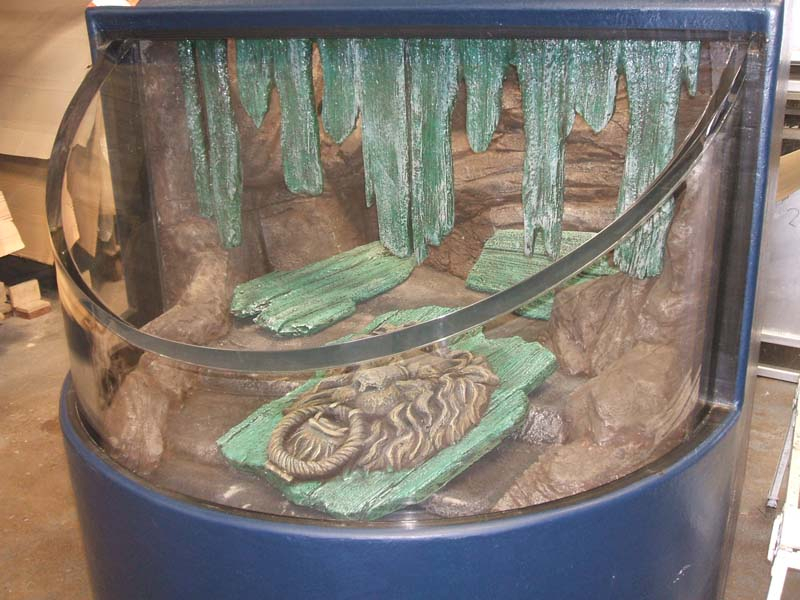 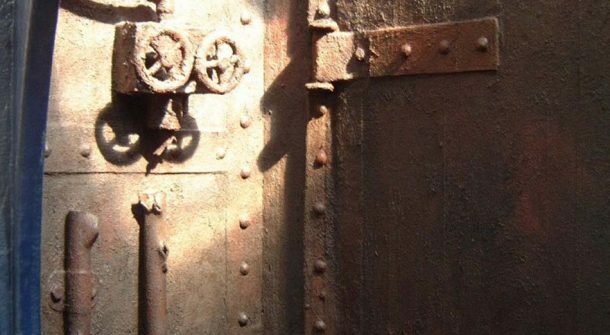 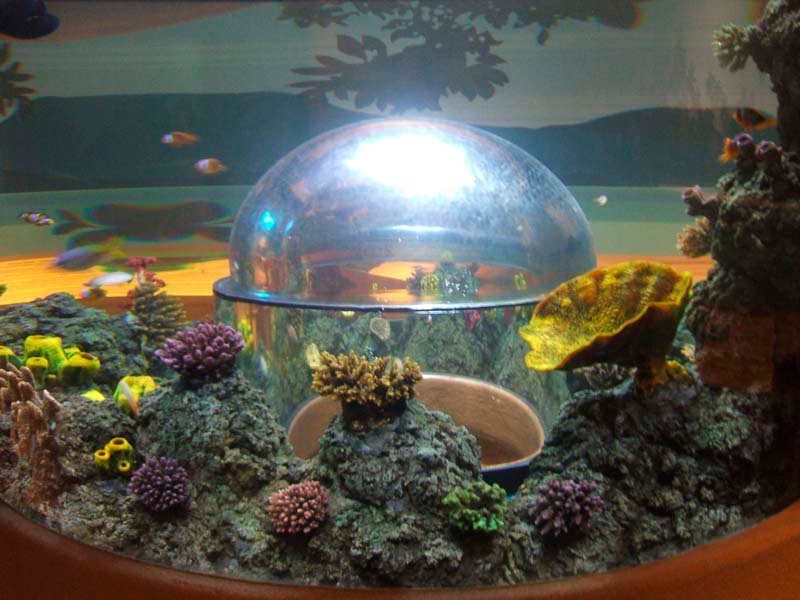 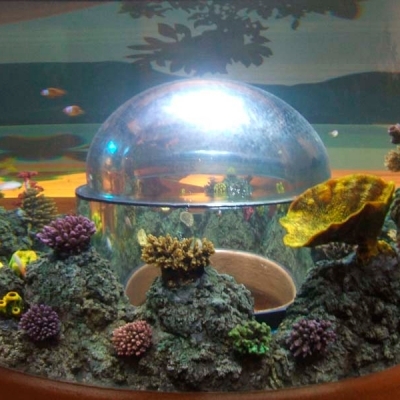 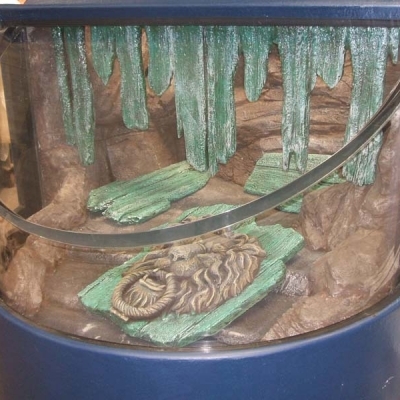 The creation of replica habitats from durable non toxic materials is an ATL speciality which answers both the needs of the inhabitants and the satisfaction of the viewer. 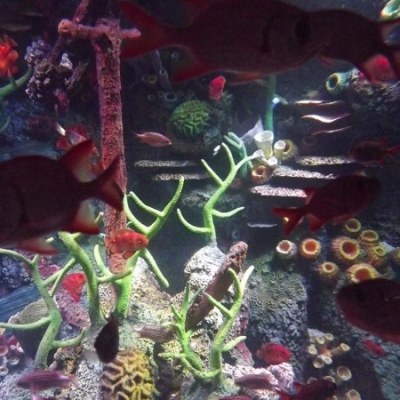 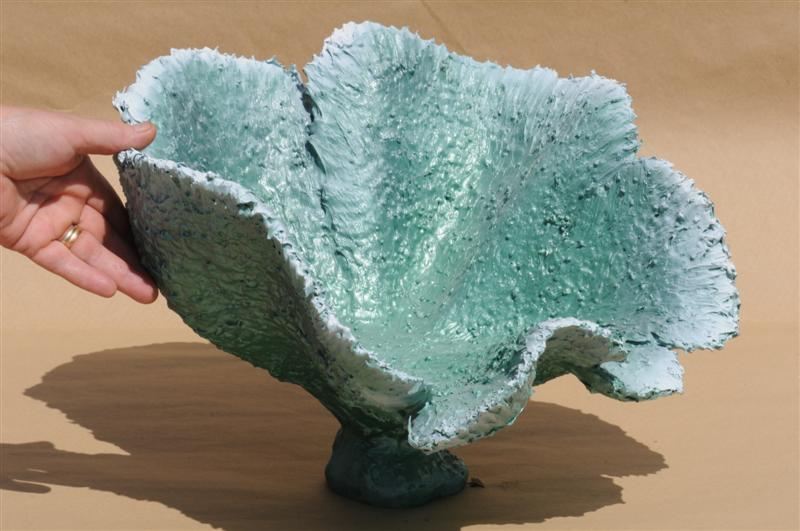 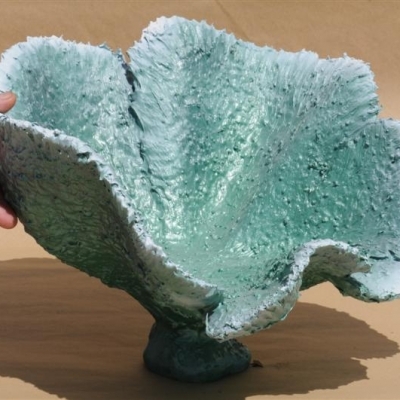 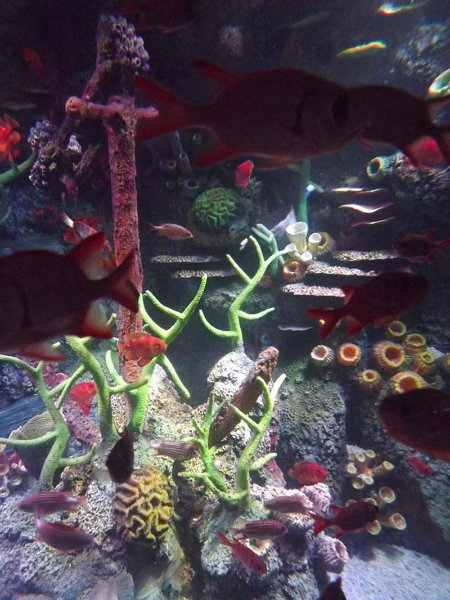 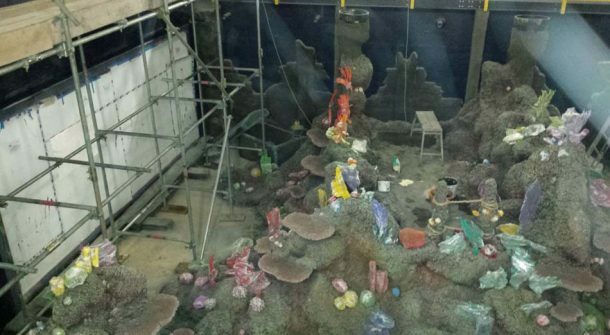 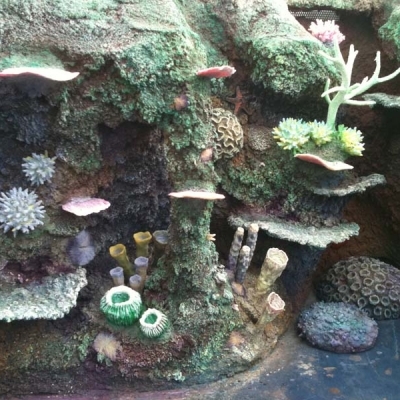 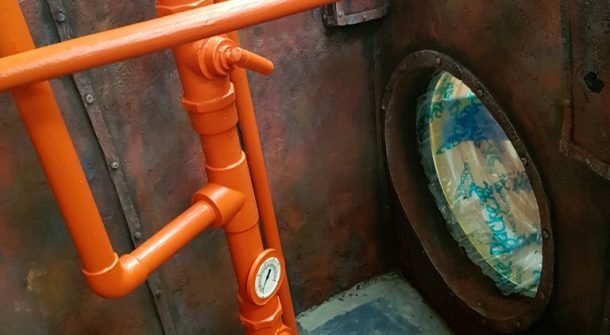 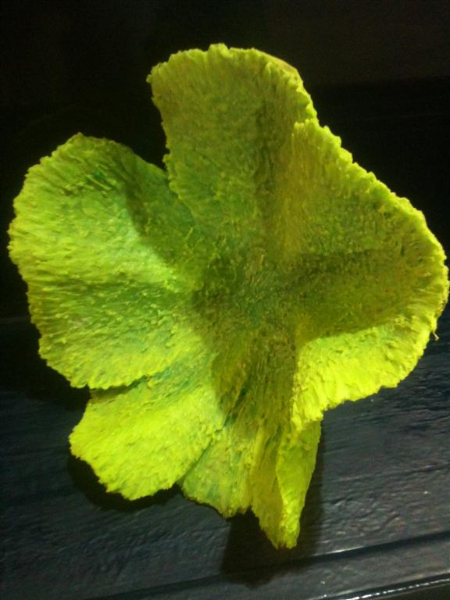 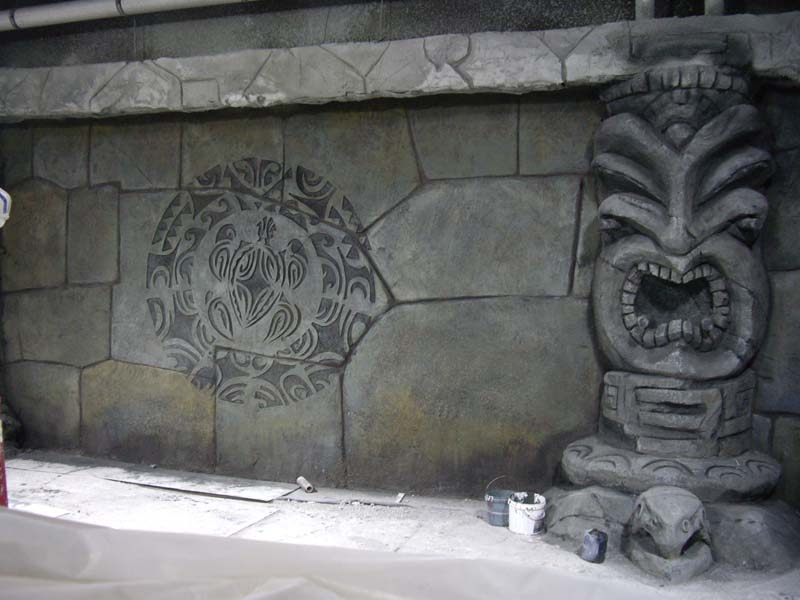 ATL’s team of highly skilled sculptors are able to design and replicate virtually any submerged habitat or background from safe and durable materials. 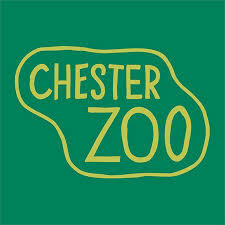 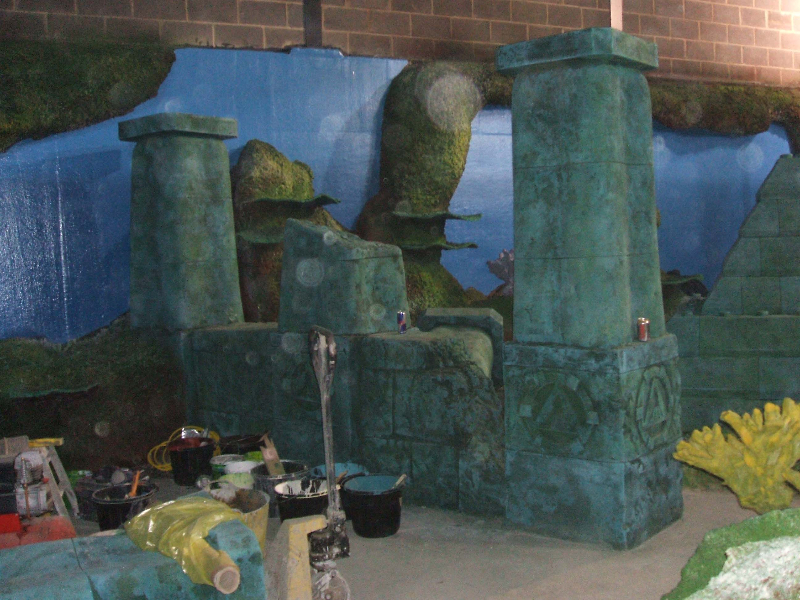 Seamless integration with dry theming in the public space gives visual continuity and true to life experience. 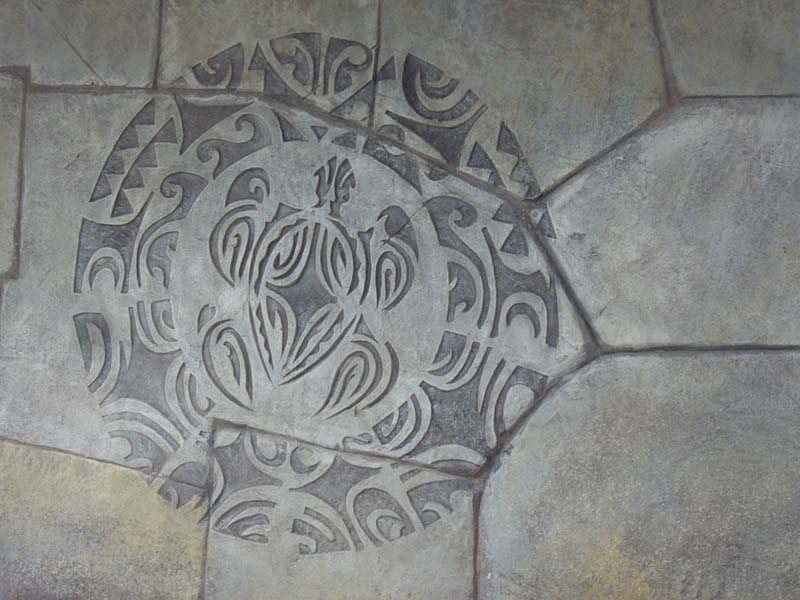 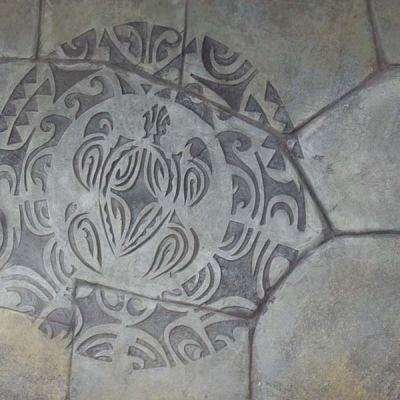 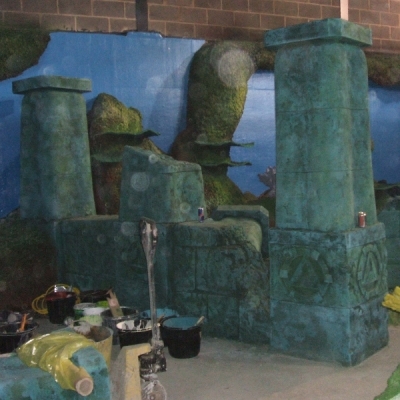 Every piece of decoration is bespoke and can range in complexity from a simple flat mural to highly detailed three dimensional relief rock work, developed to the client’s exact brief and supported with a fully illustrated content brief. 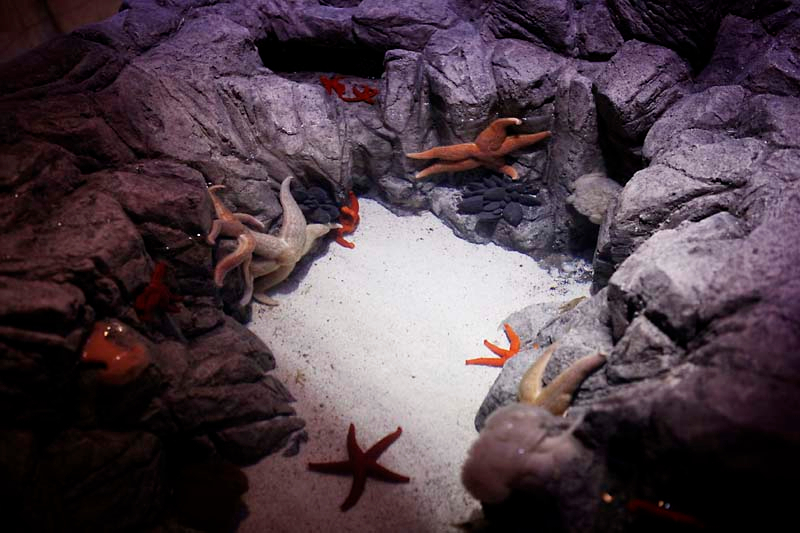 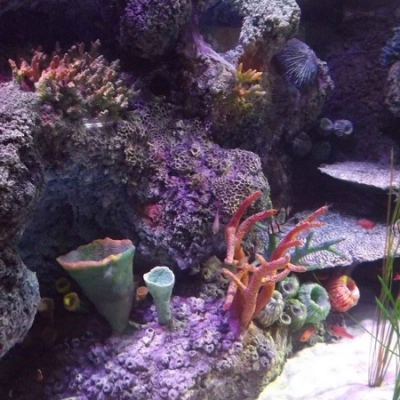 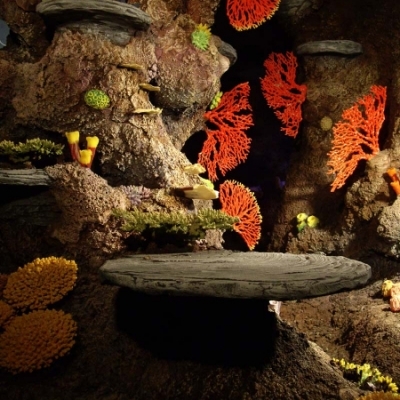 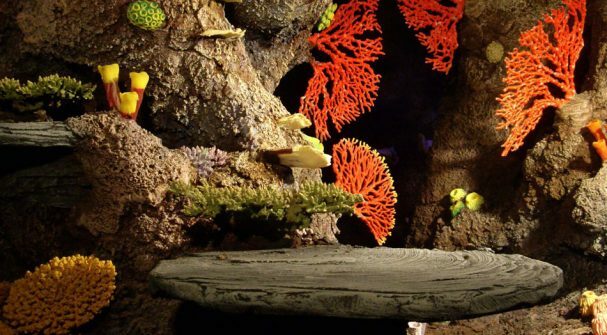 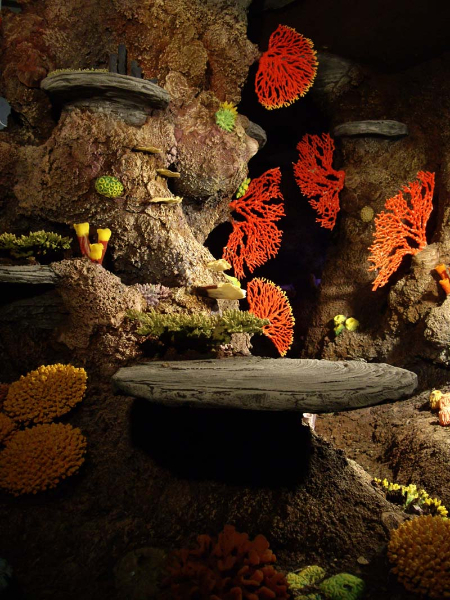 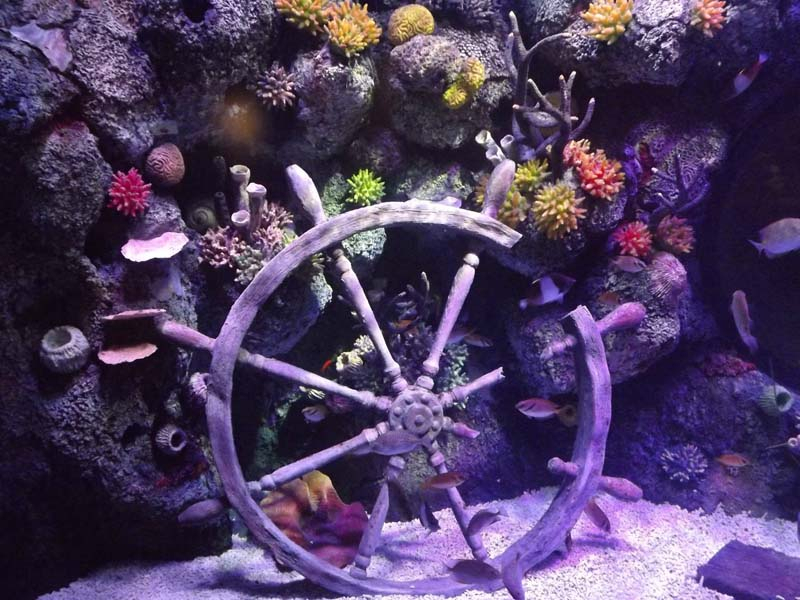 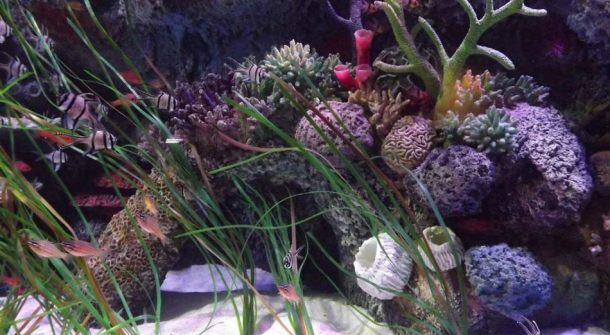 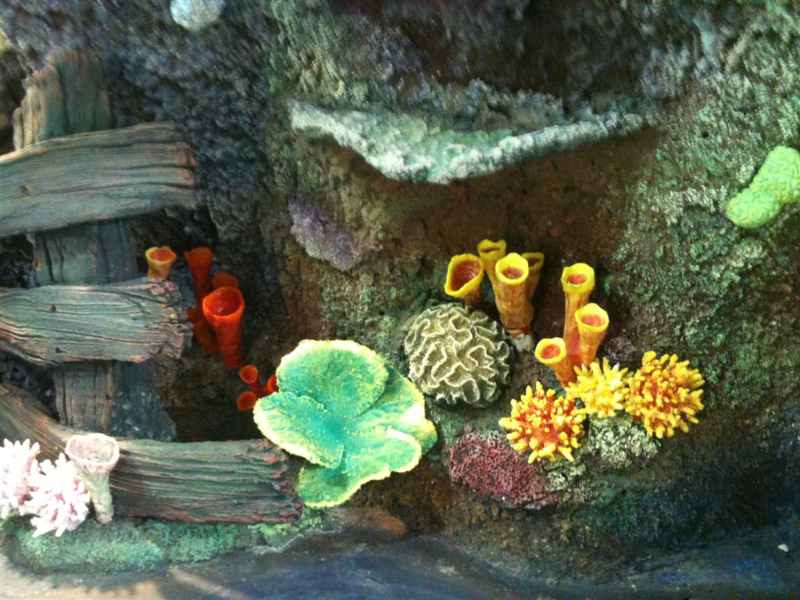 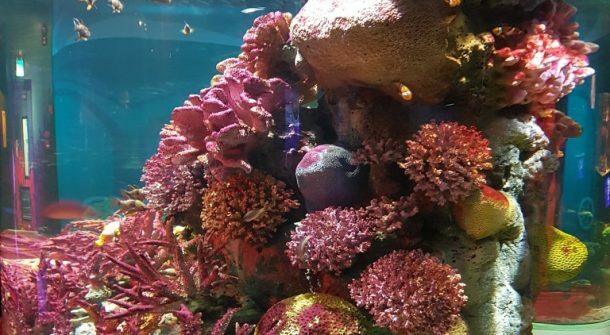 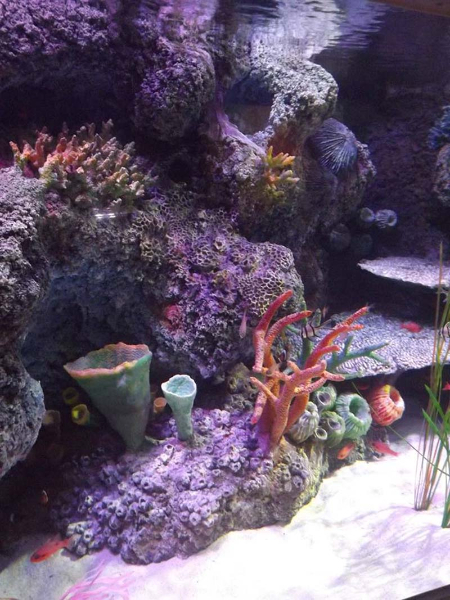 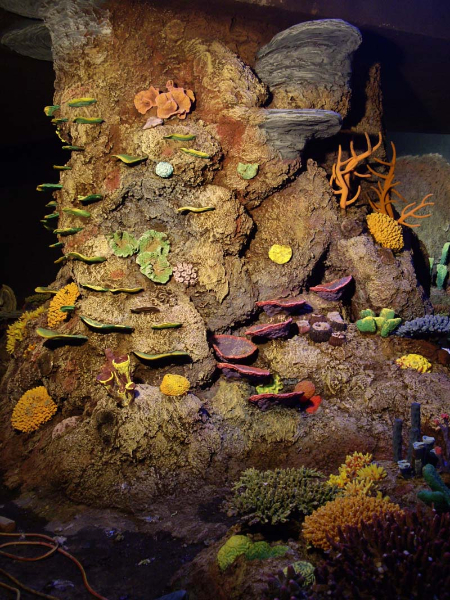 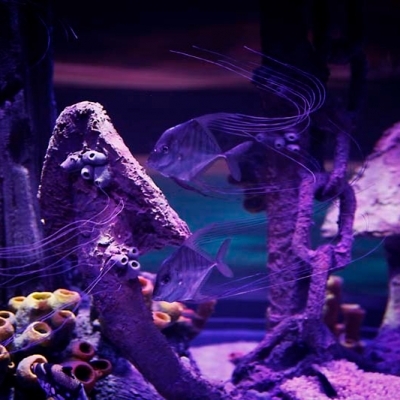 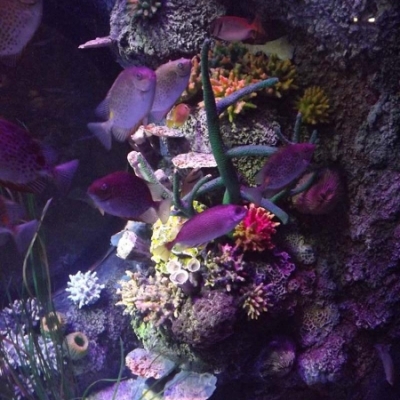 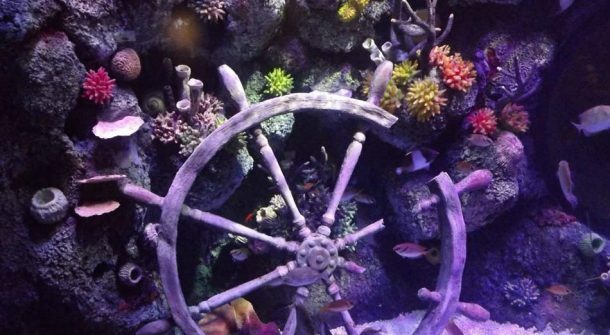 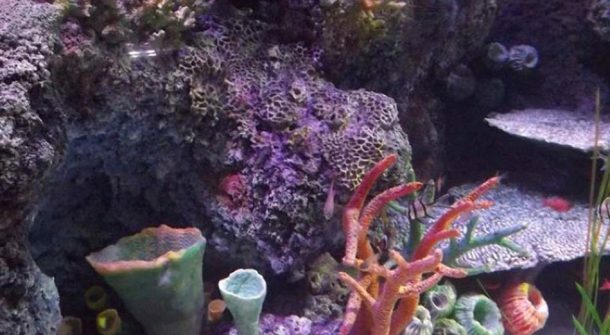 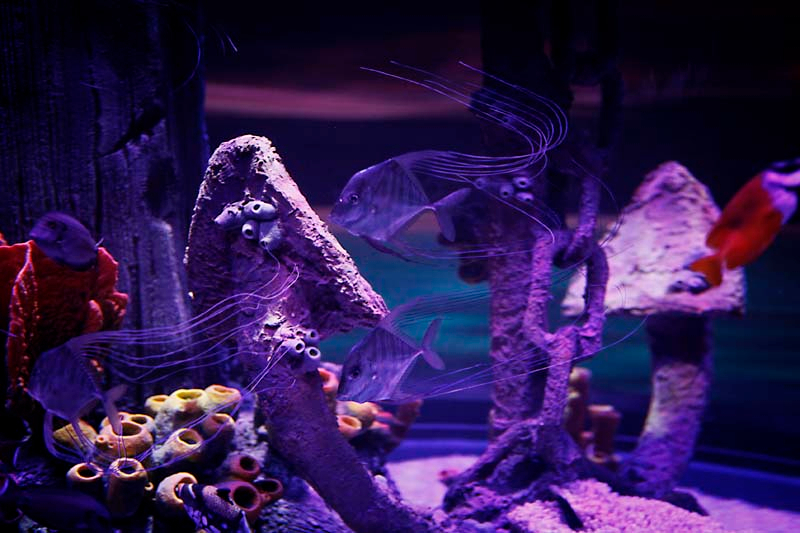 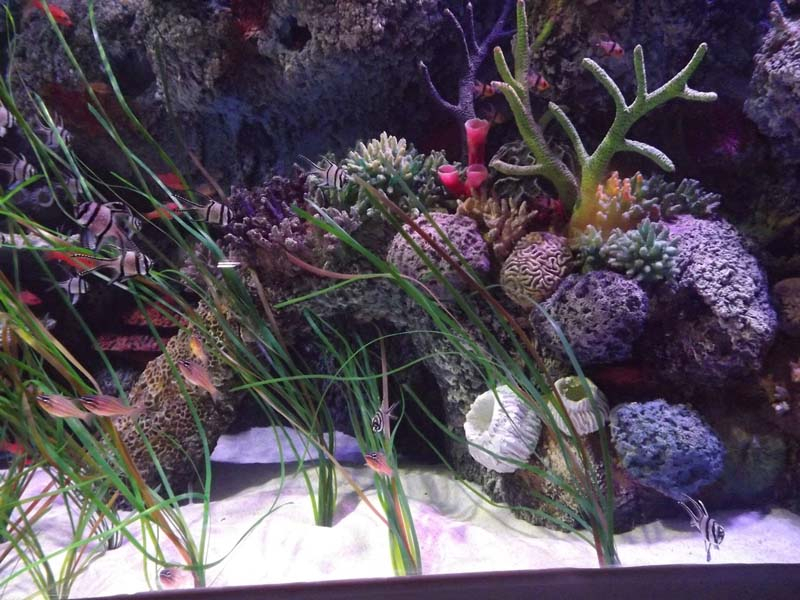 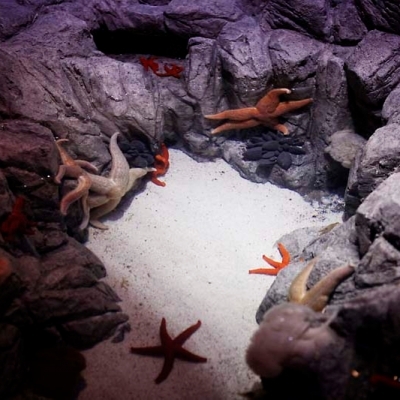 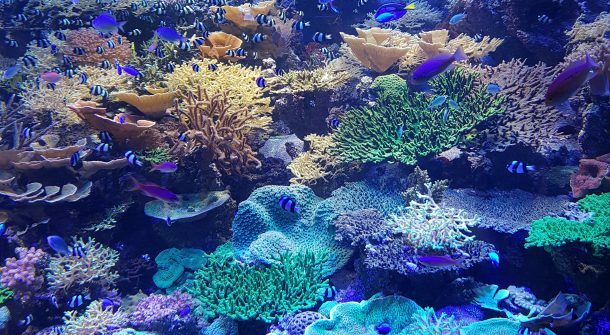 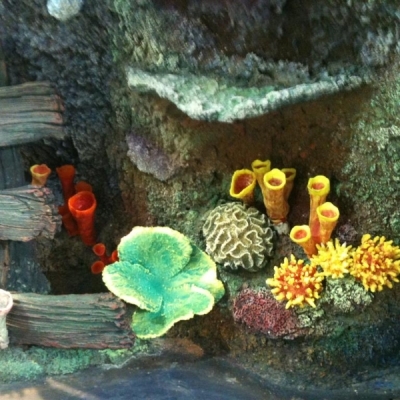 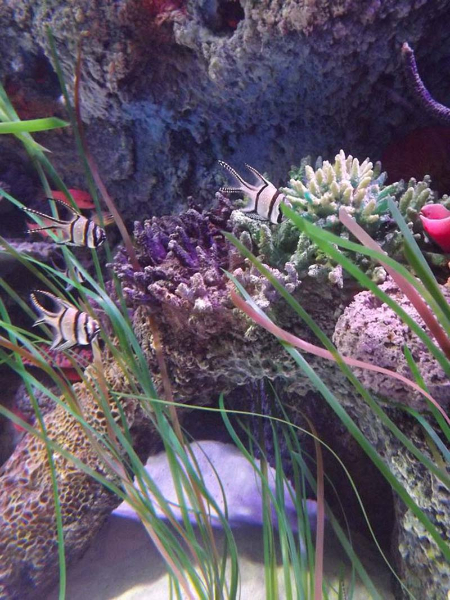 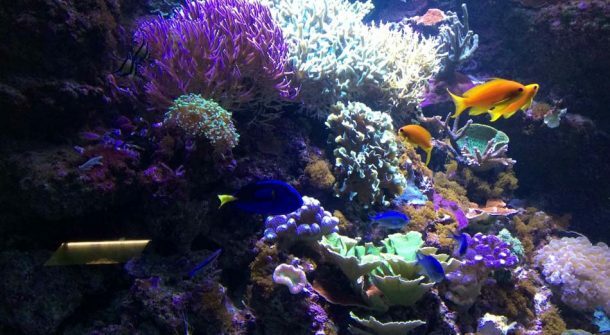 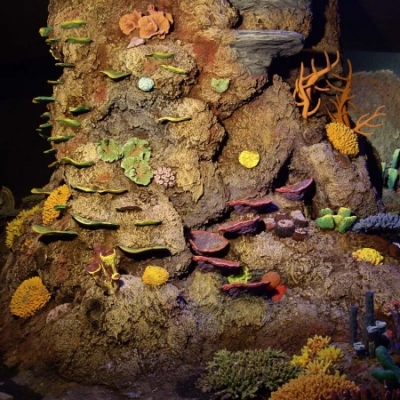 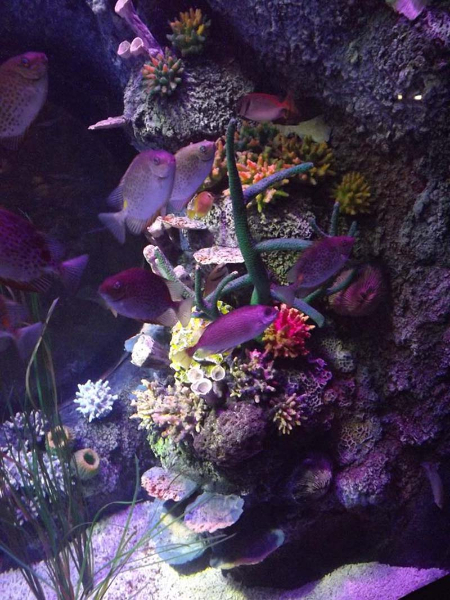 The addition of our specially manufactured imitation corals to an ATL rock background offers the discerning reef fish specialist a visually stunning habitat in which to view their prized specimens. 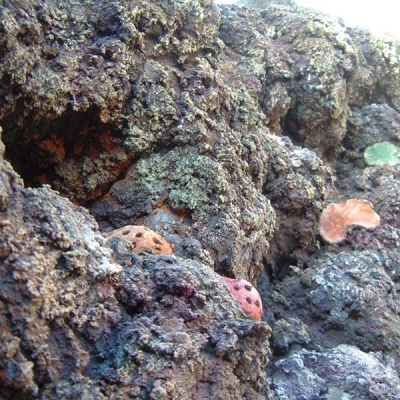 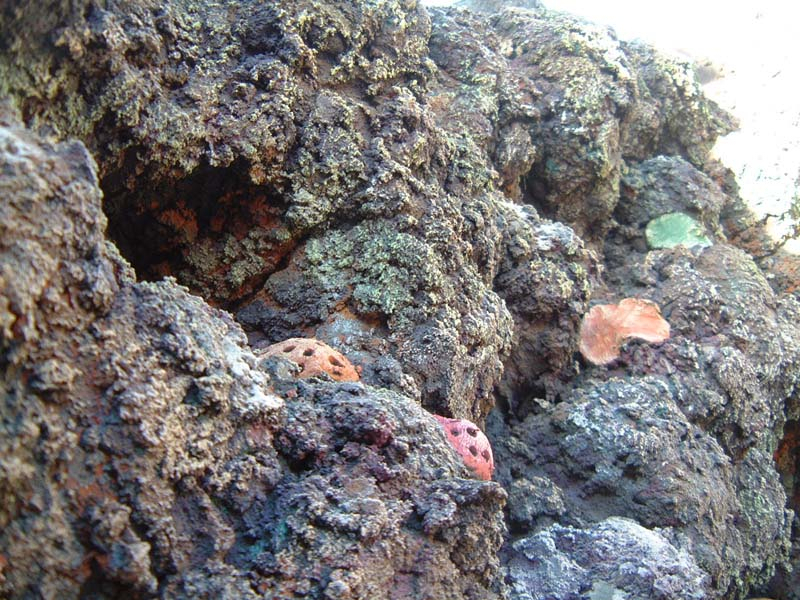 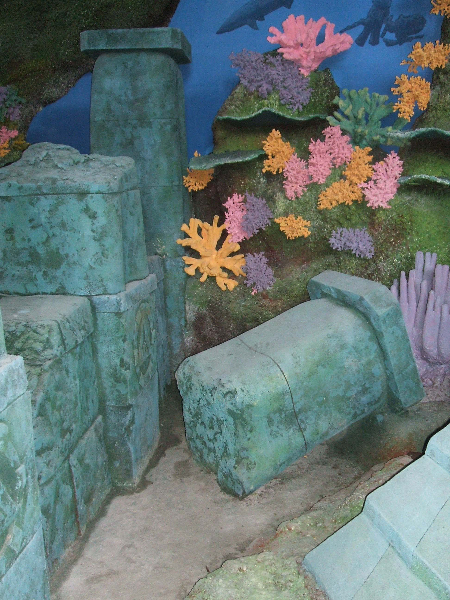 The range of underwater geological forms found across the world, particularly in coastal waters, is vast and can never be fully accommodated by the range of bland preformed ‘imitation’ rock backgrounds available from proprietary sources. 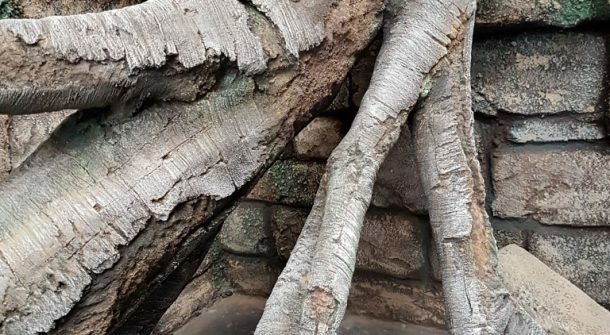 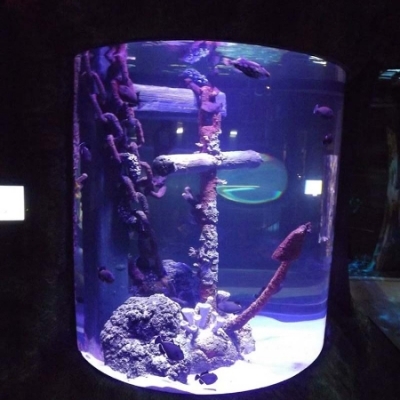 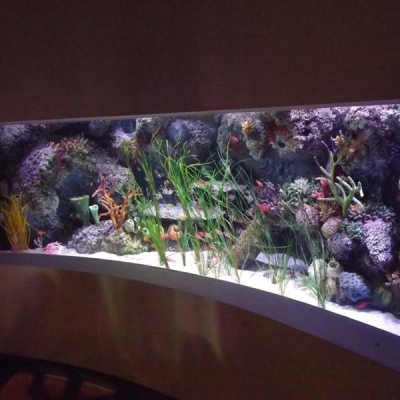 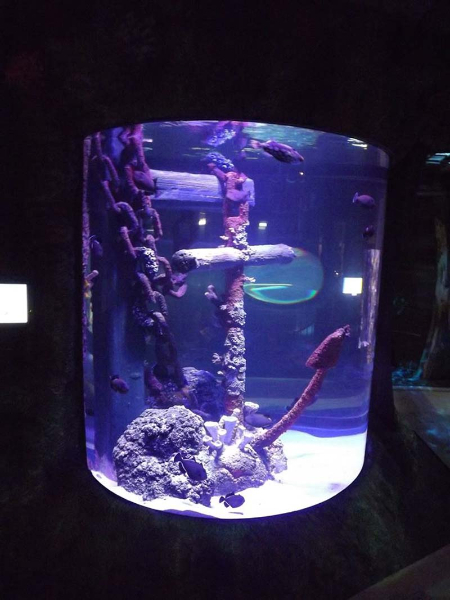 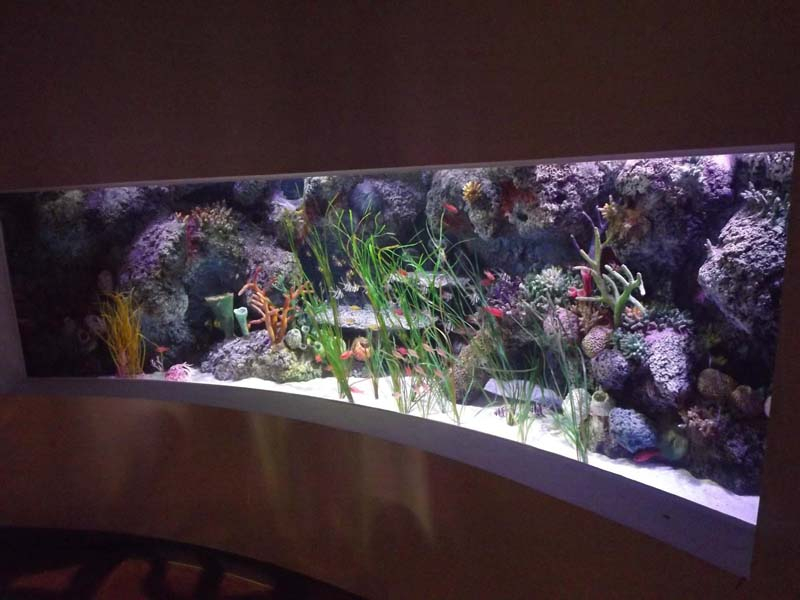 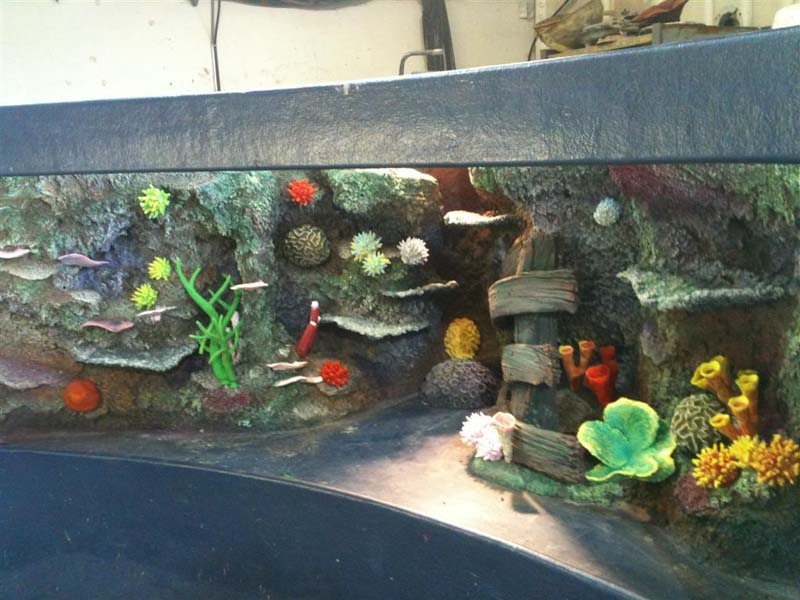 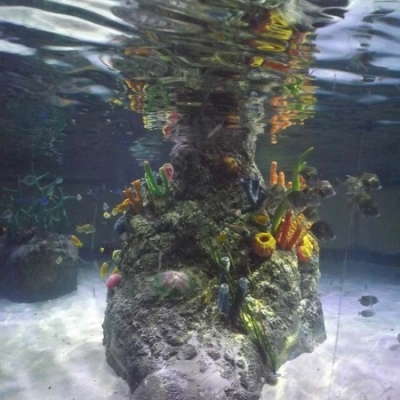 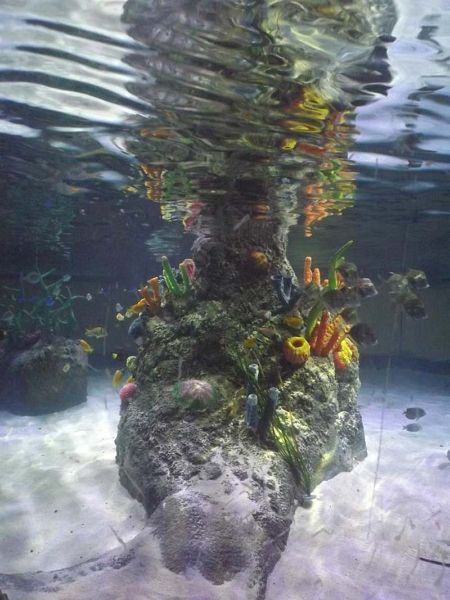 Similarly, it is often impractical and potentially very costly to use natural materials so with this in mind ATL has developed a system of bespoke sculpting that faithfully recreates any rock or masonry form demanded by the client in very durable and aquarium safe materials. 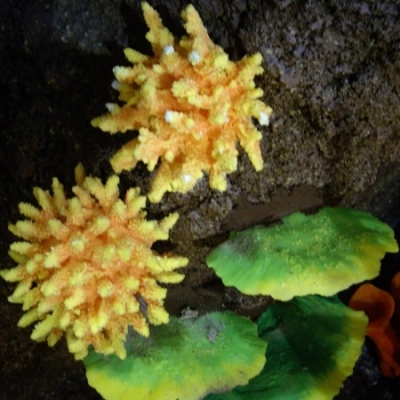 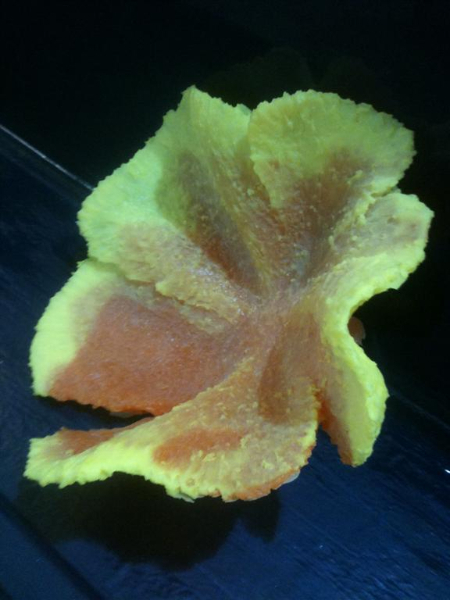 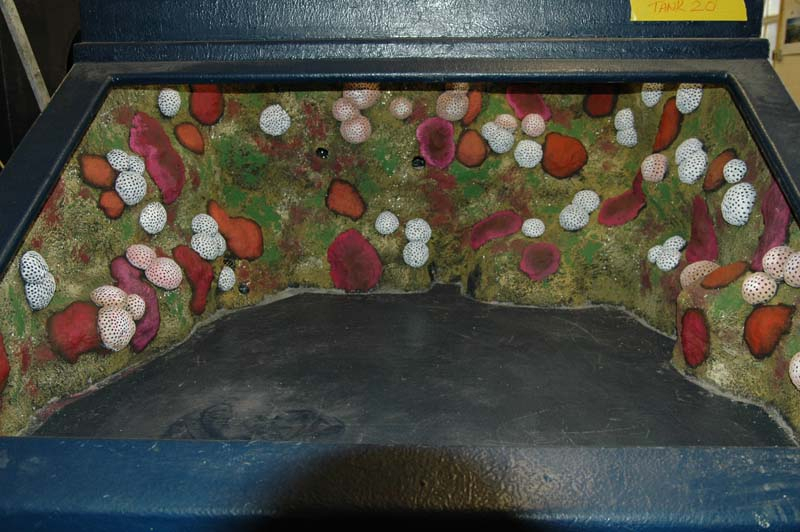 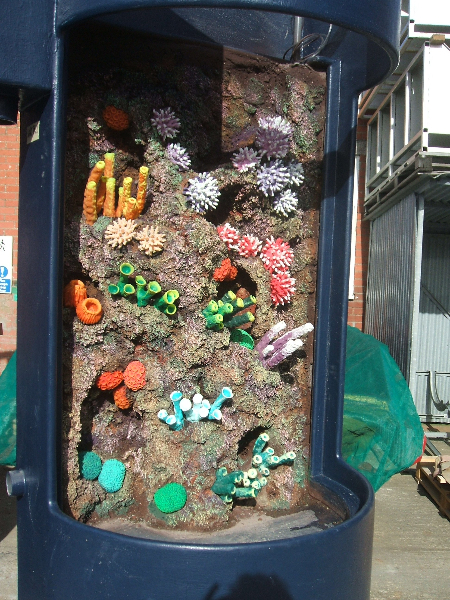 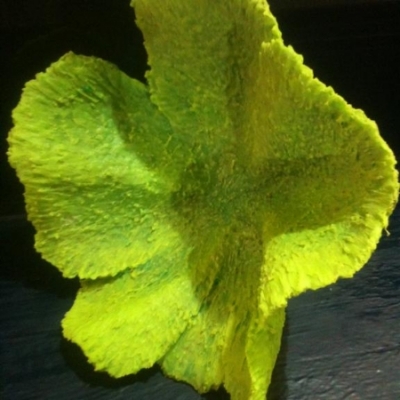 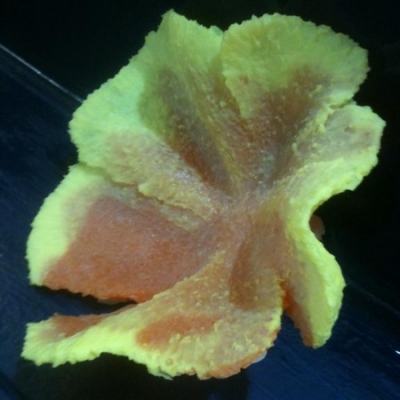 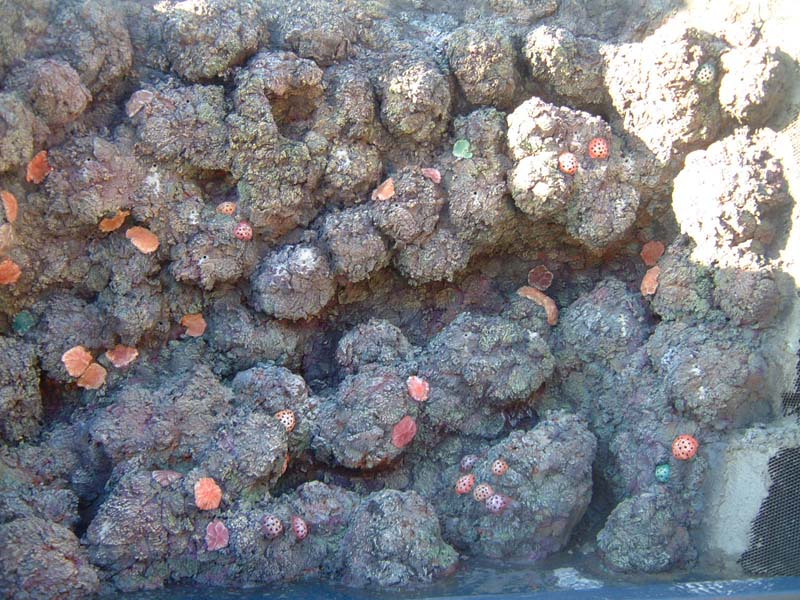 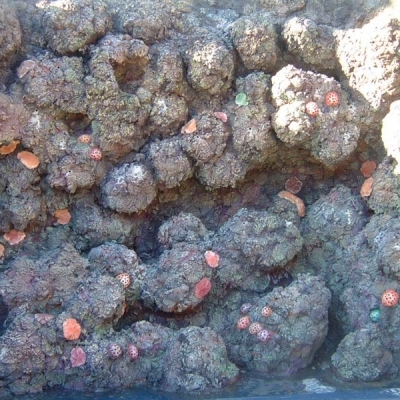 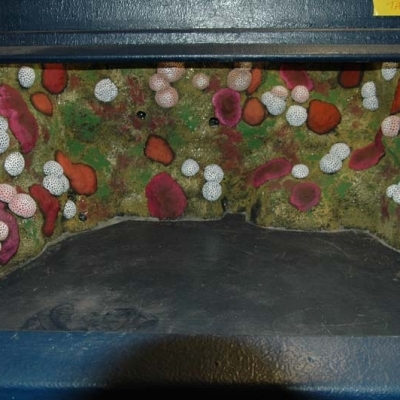 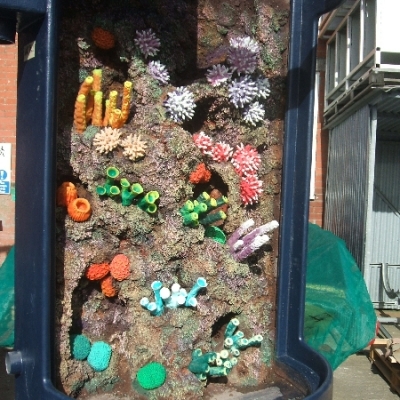 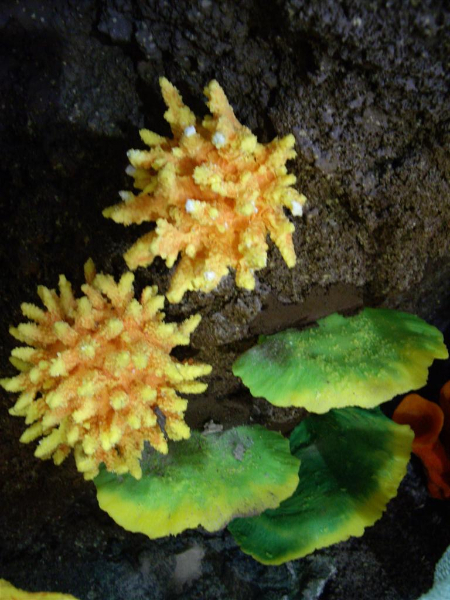 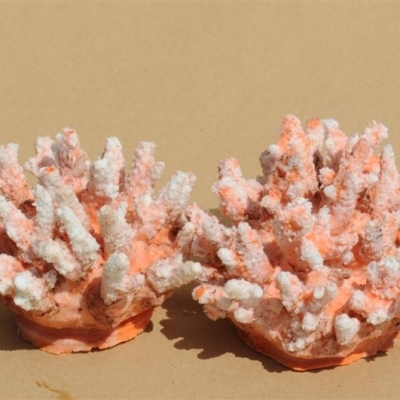 ATL have also recently developed, tested and launched an extensive range of replica corals based on moulds taken from real specimens. 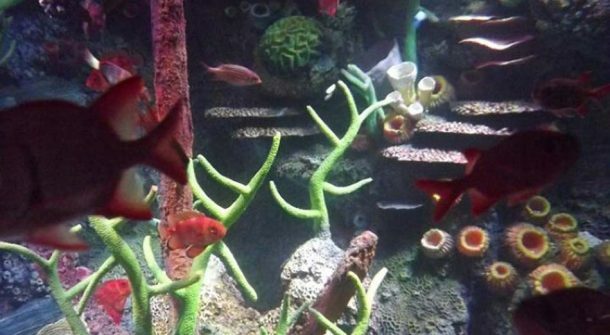 The range is manufactured in multiple colours from a non toxic fish safe poly-rubber and has proved extremely popular with large commercial aquarium operators. 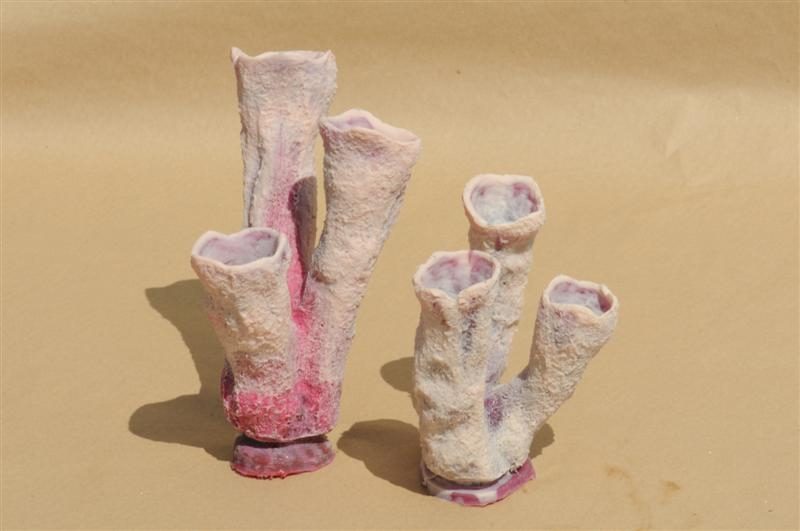 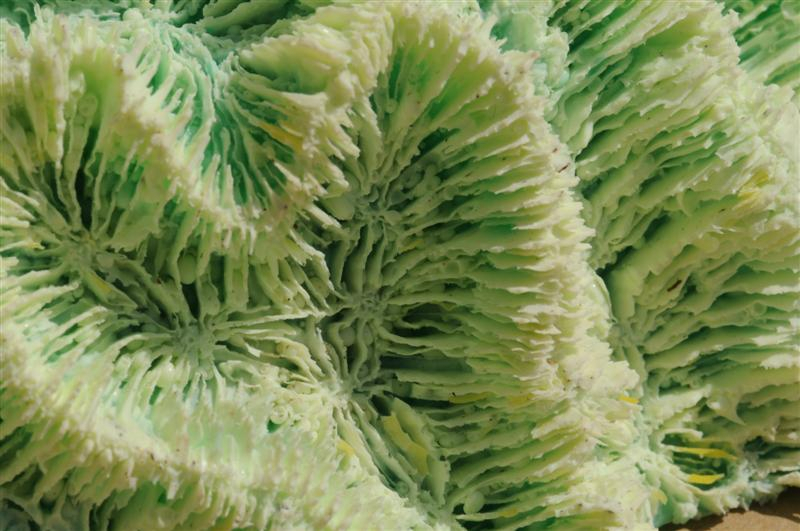 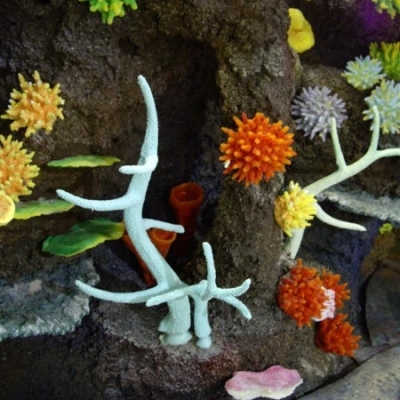 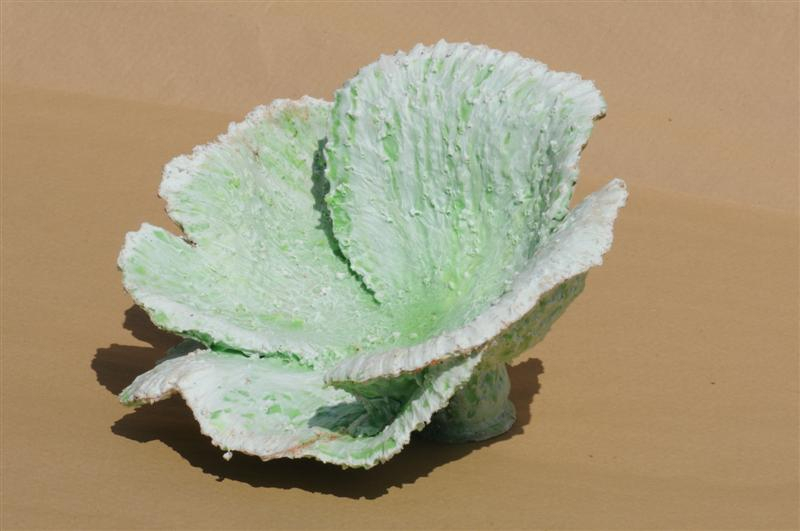 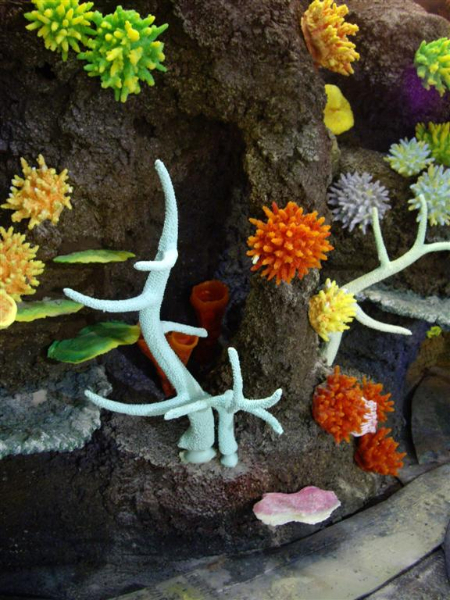 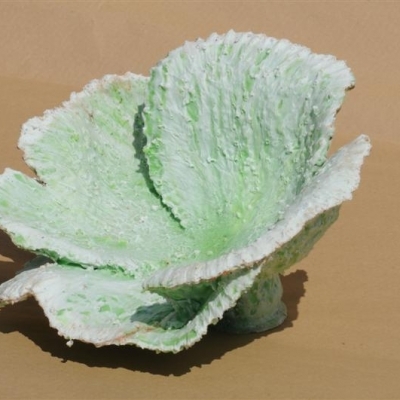 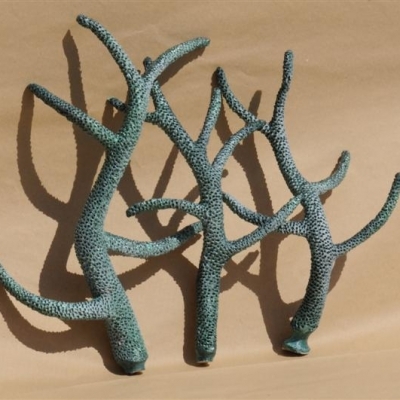 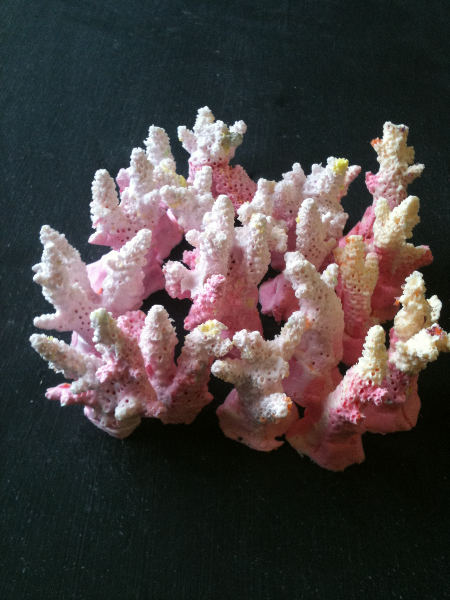 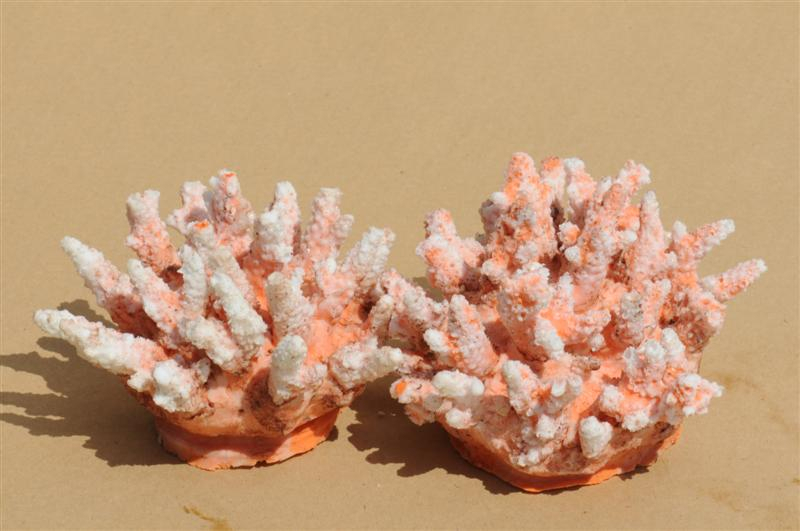 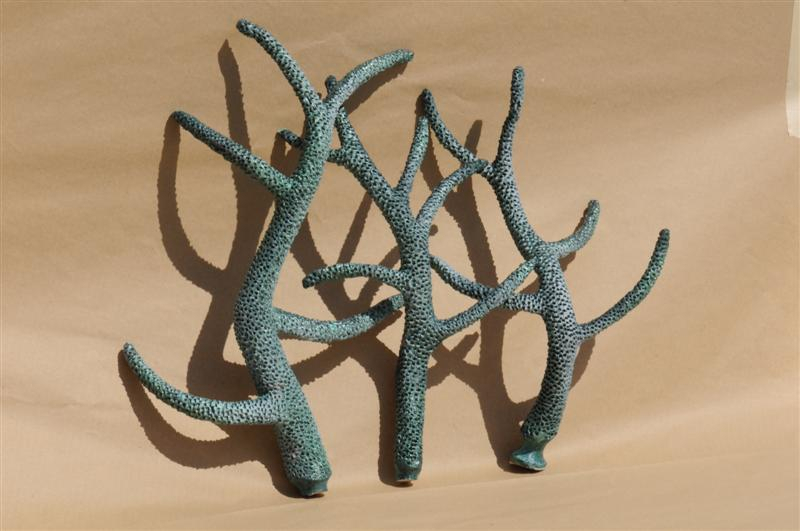 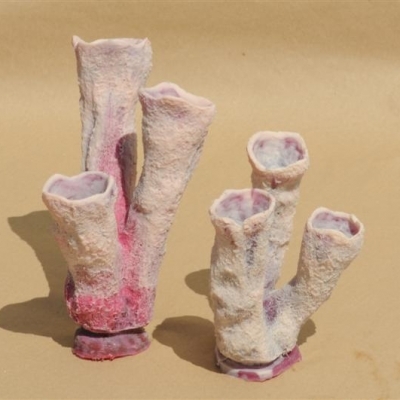 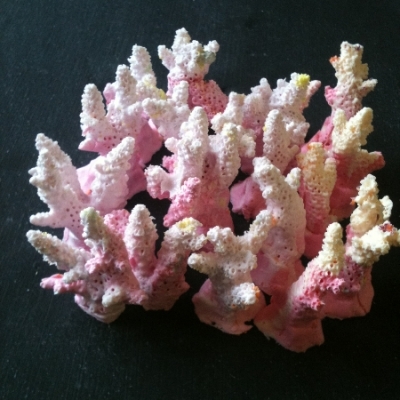 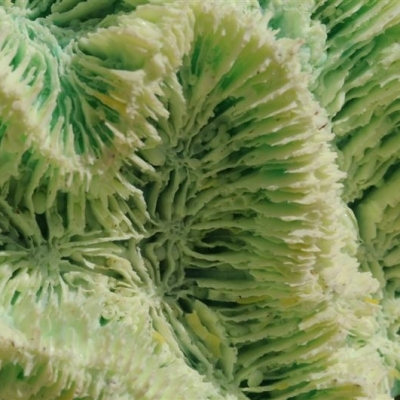 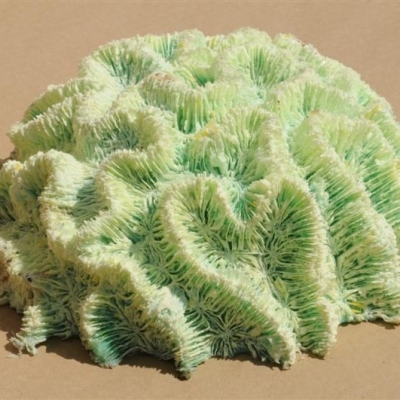 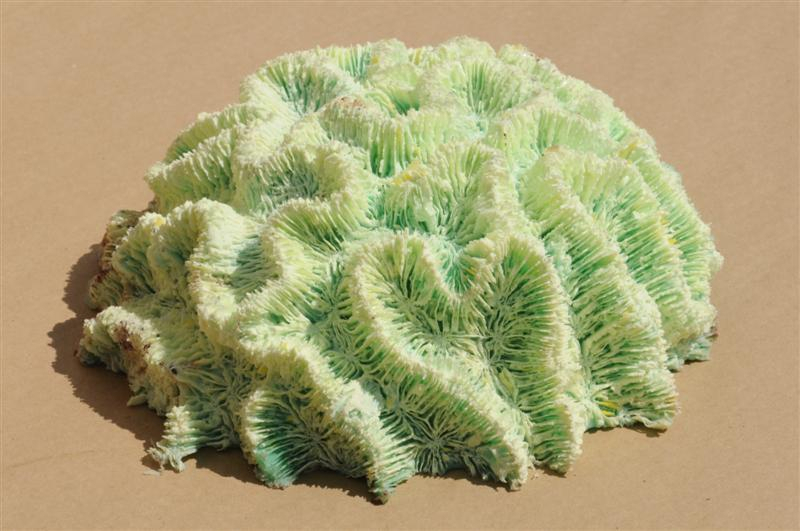 These delightfully accurate corals can be retro-fitted to an existing reef background or incorporated into new bespoke reef decoration theme for a completely fresh appearance. 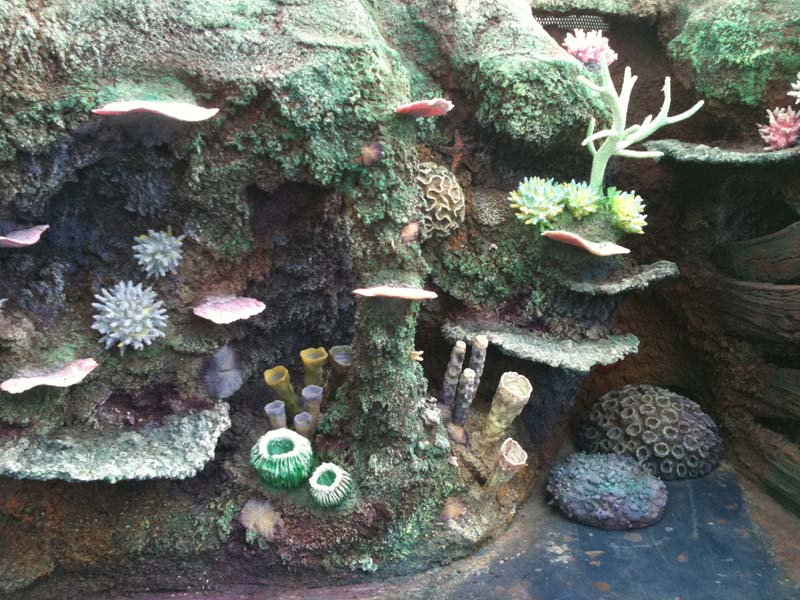 Either way they’ll make your reef come to life and have zero impact on this threatened natural habitat. 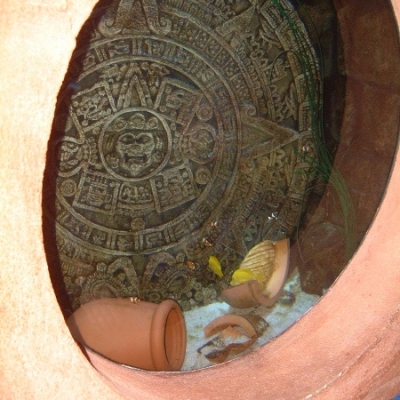 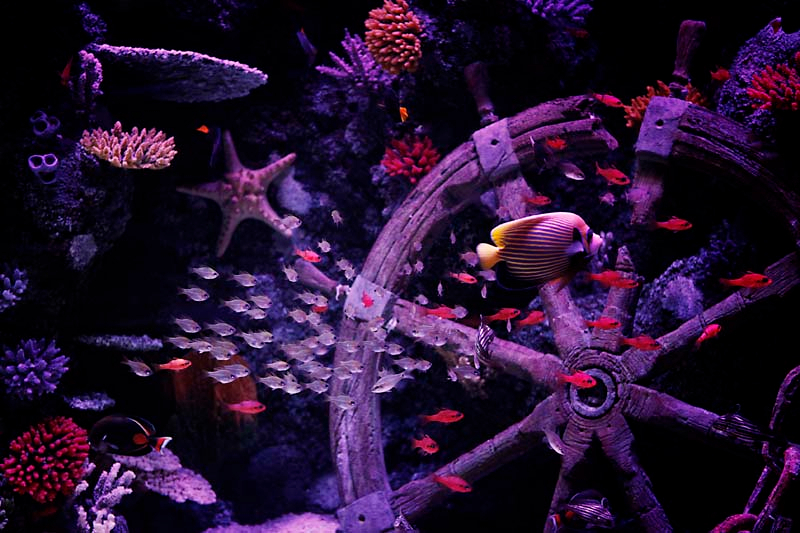 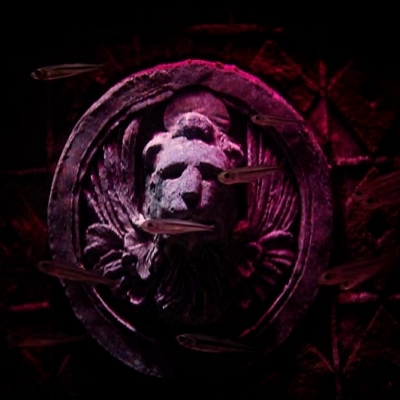 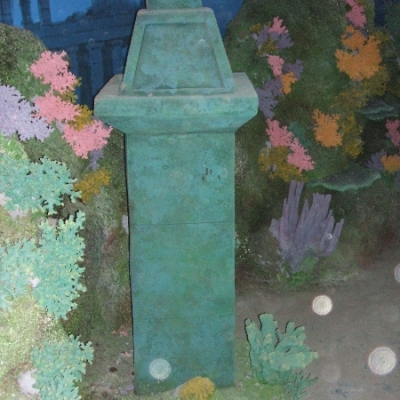 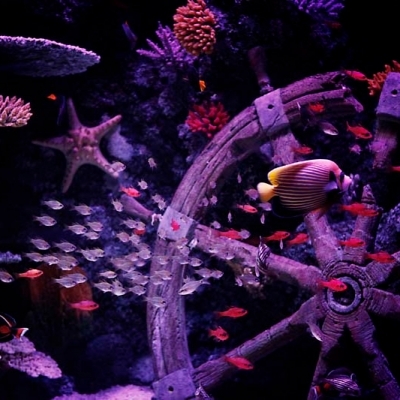 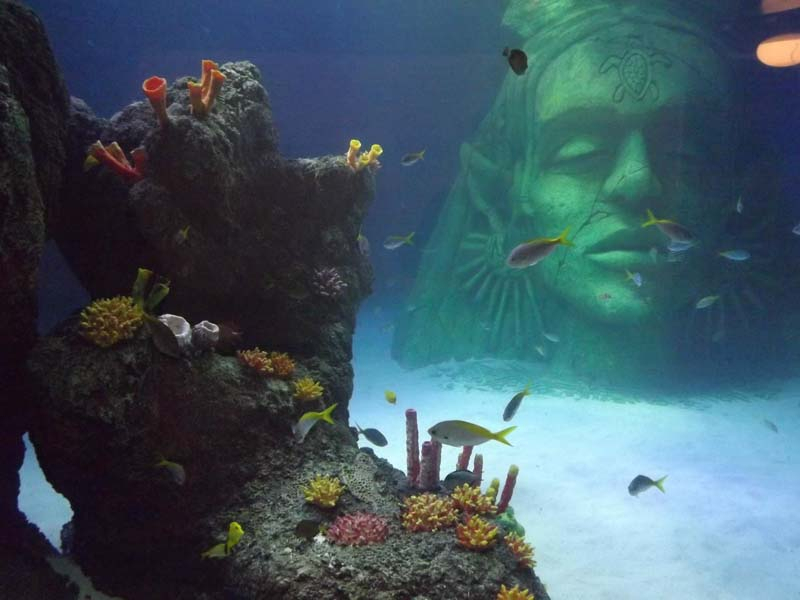 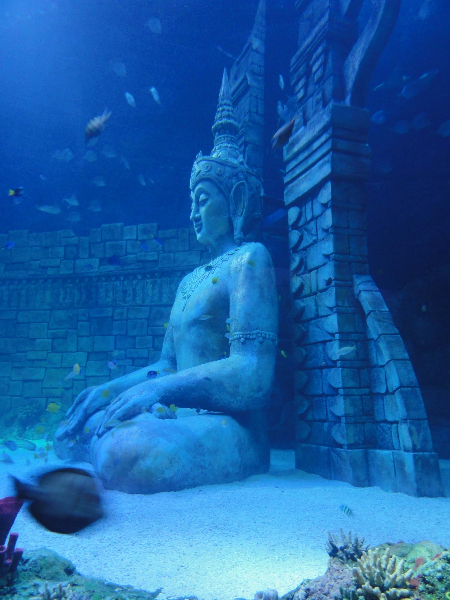 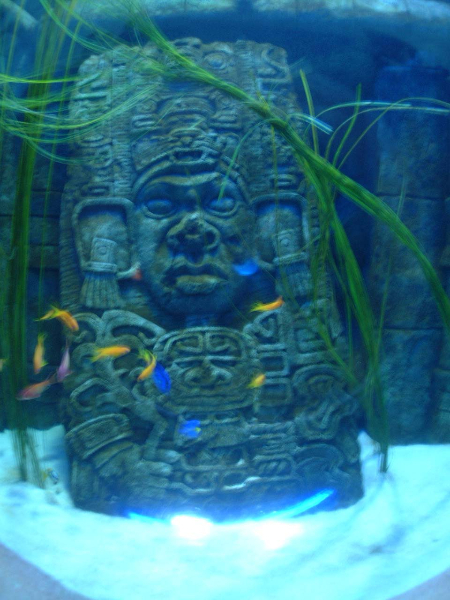 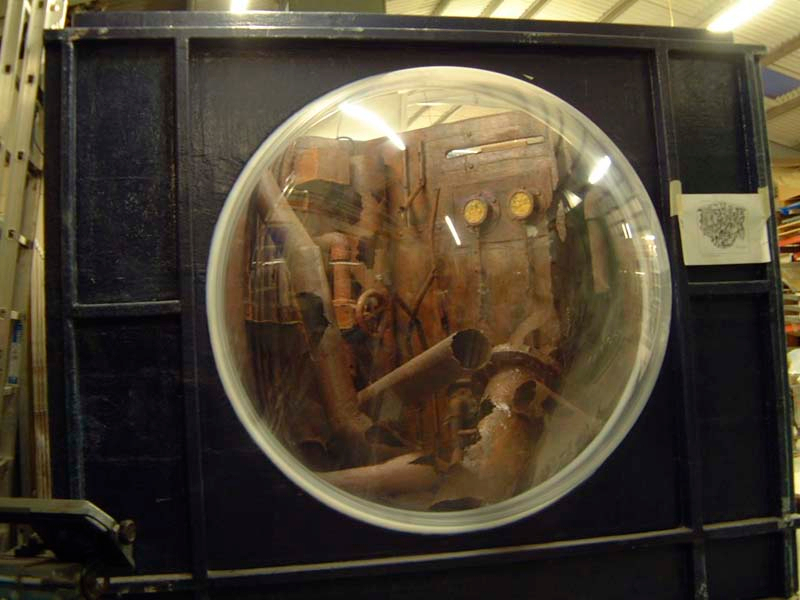 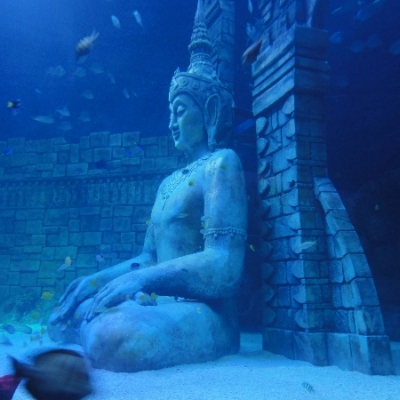 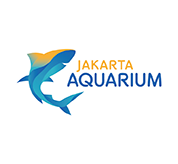 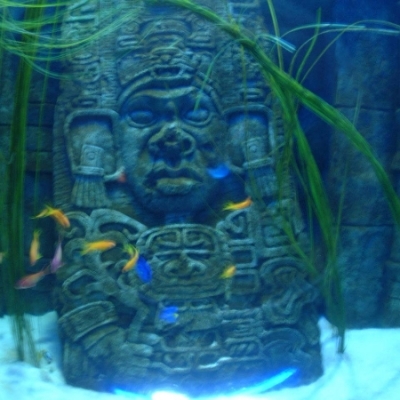 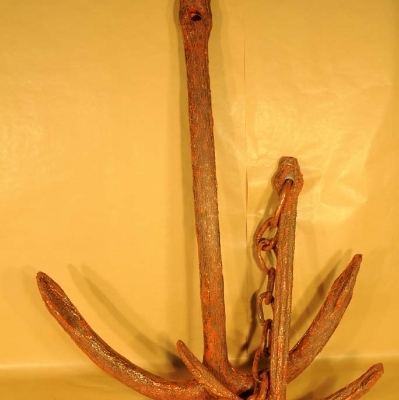 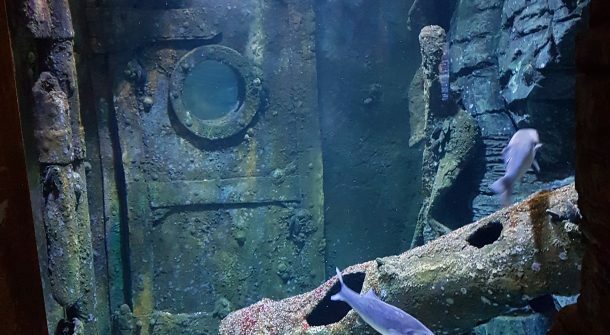 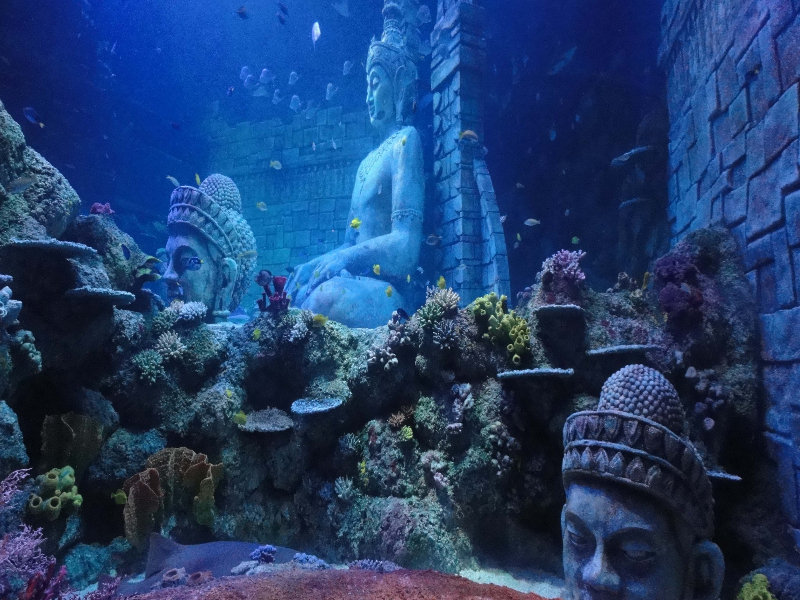 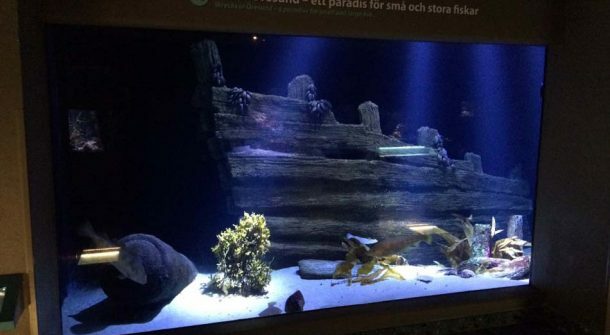 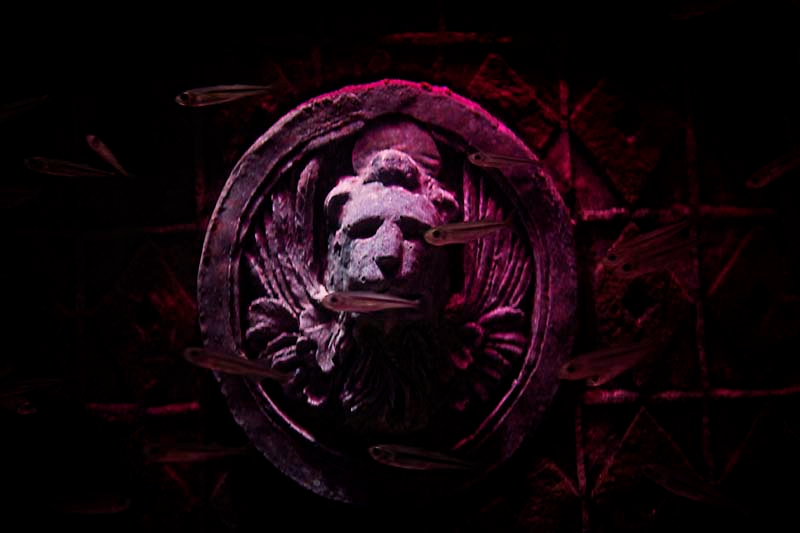 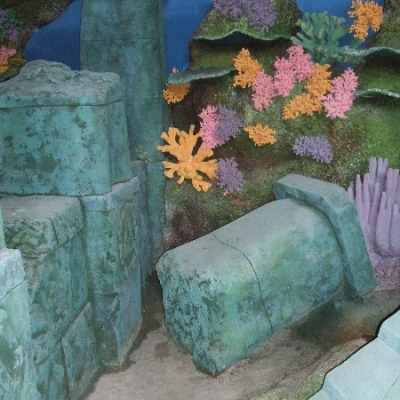 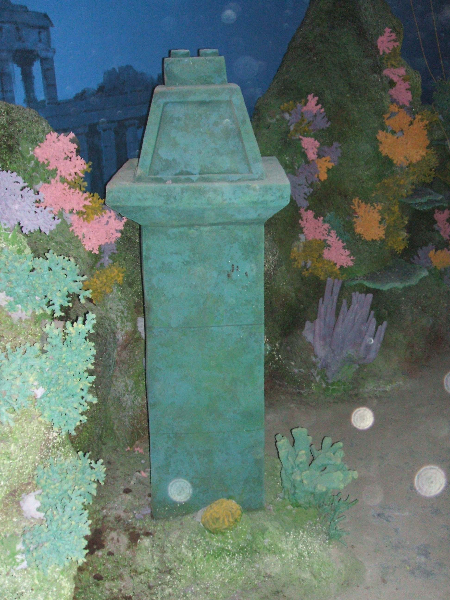 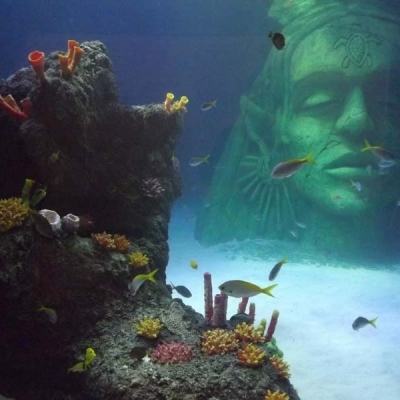 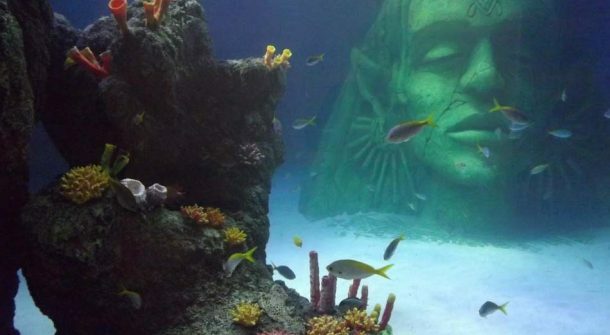 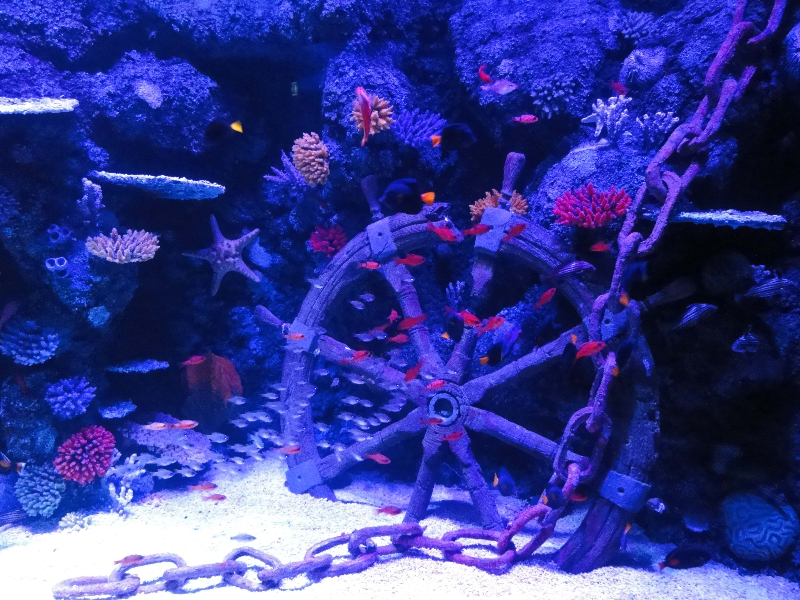 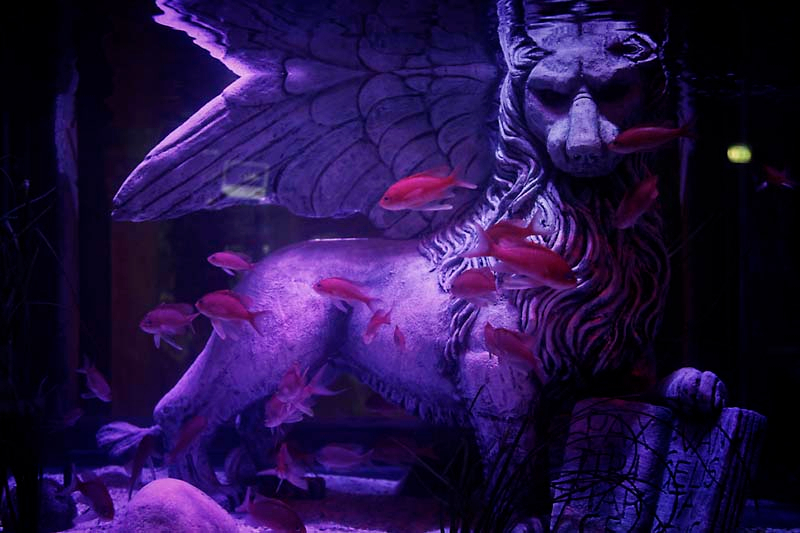 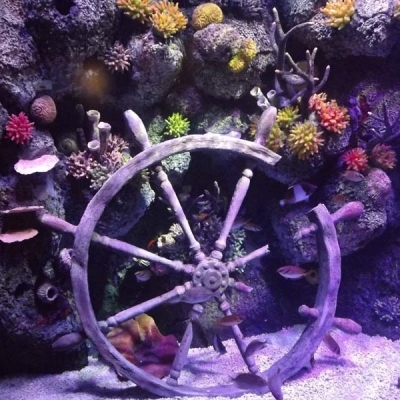 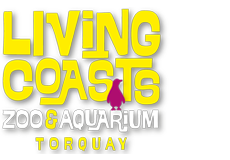 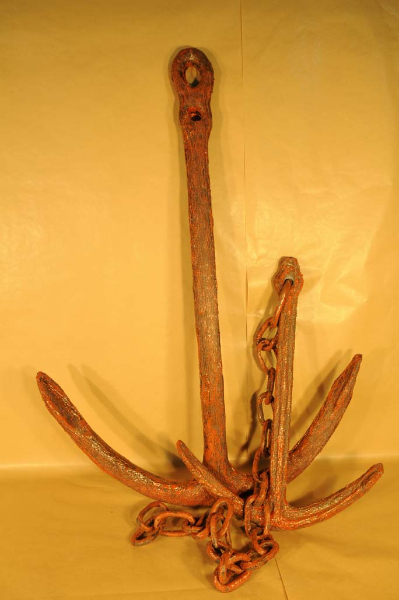 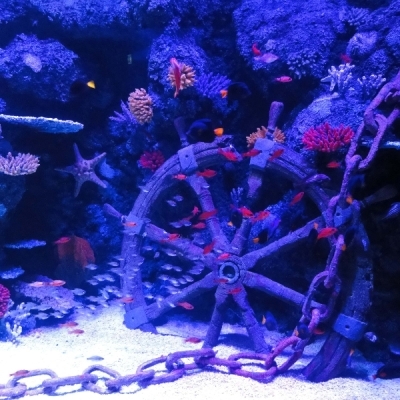 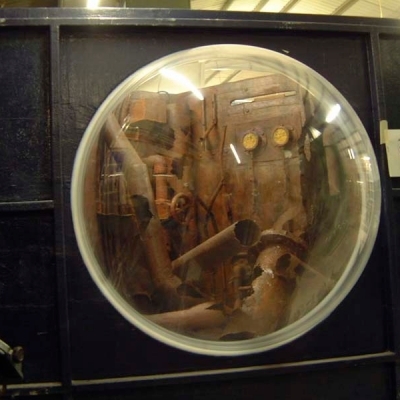 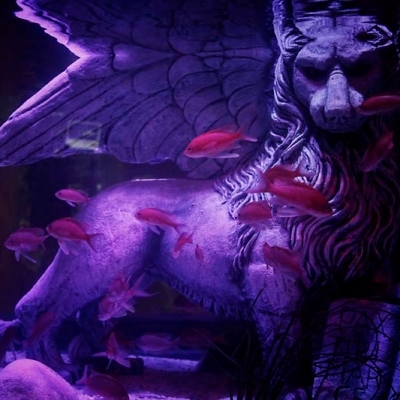 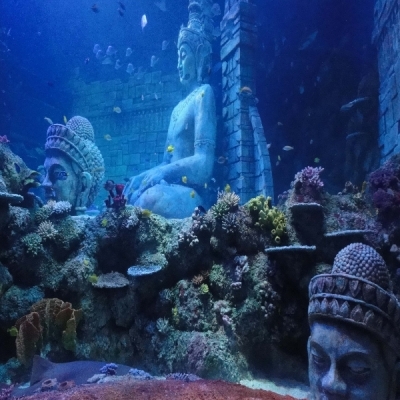 In seeking maximum habitat realism and continuity of a theme it is common for modern aquariums to feature artefacts such as antiquities or wreckage which are, by their very nature, rare and often impossible to obtain, let alone suitable for display in an aquarium. 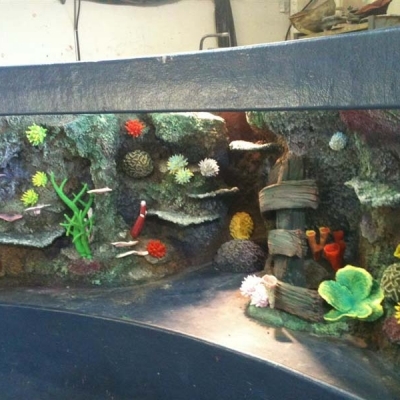 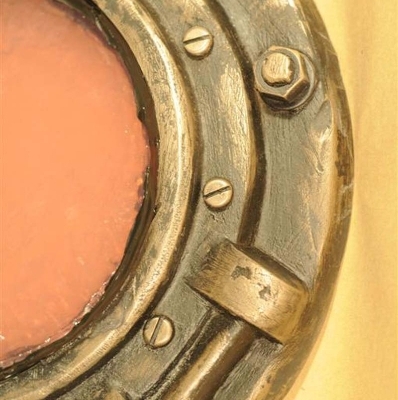 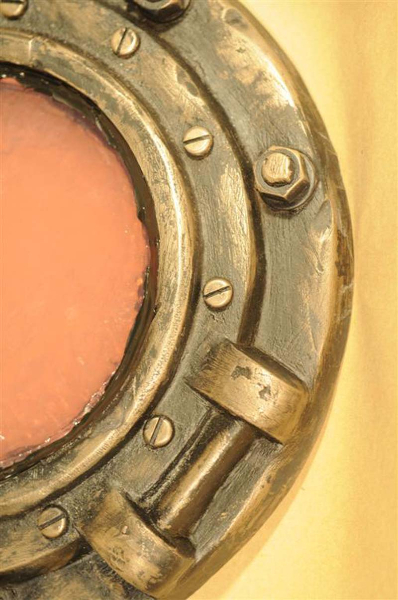 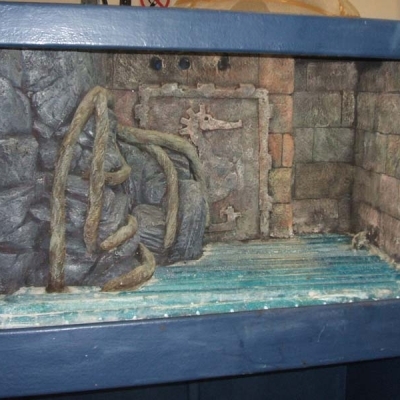 ATL have pioneered the recreation of many artefacts in fish friendly materials with stunning levels of detail and realism to perfectly mimic the real thing. 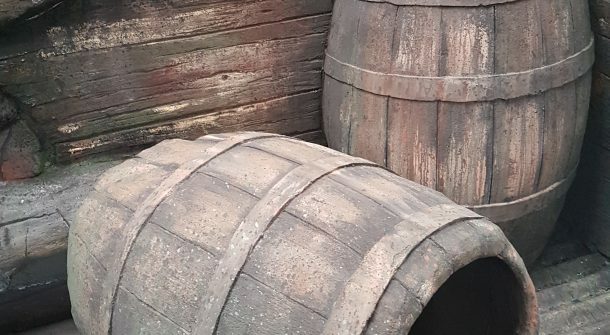 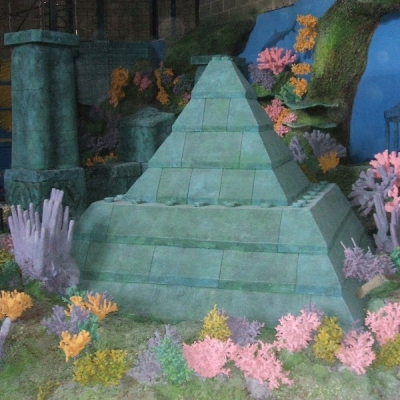 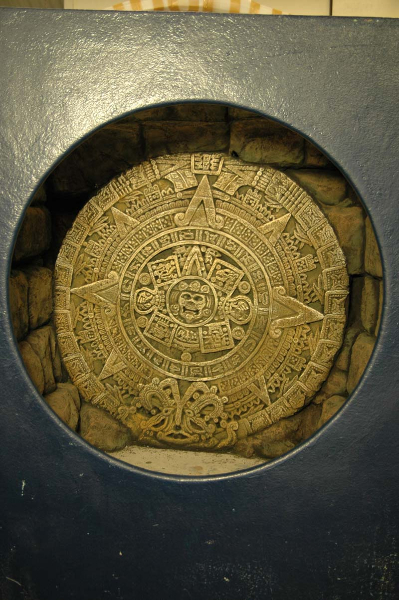 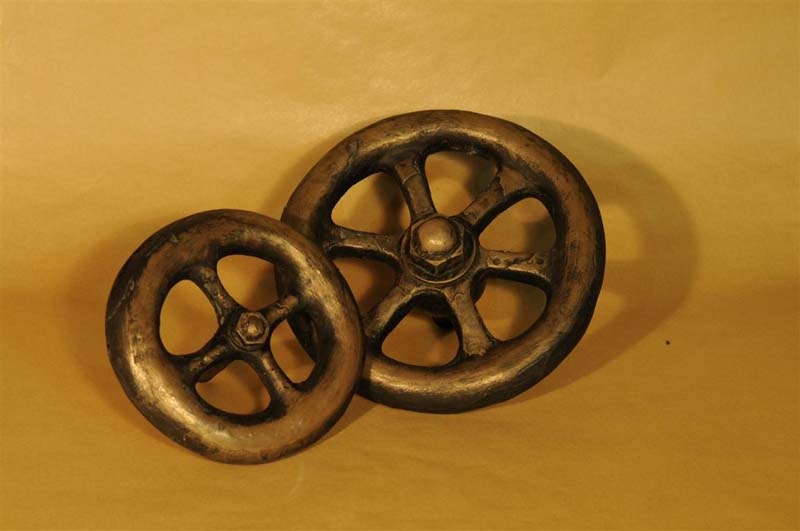 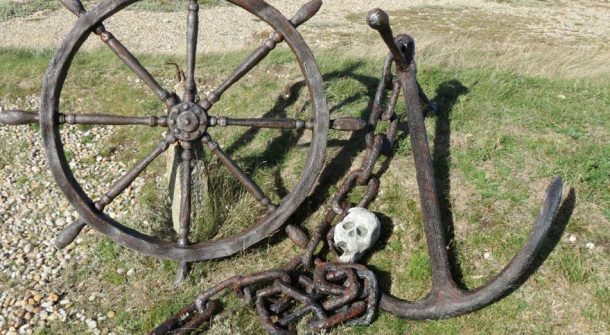 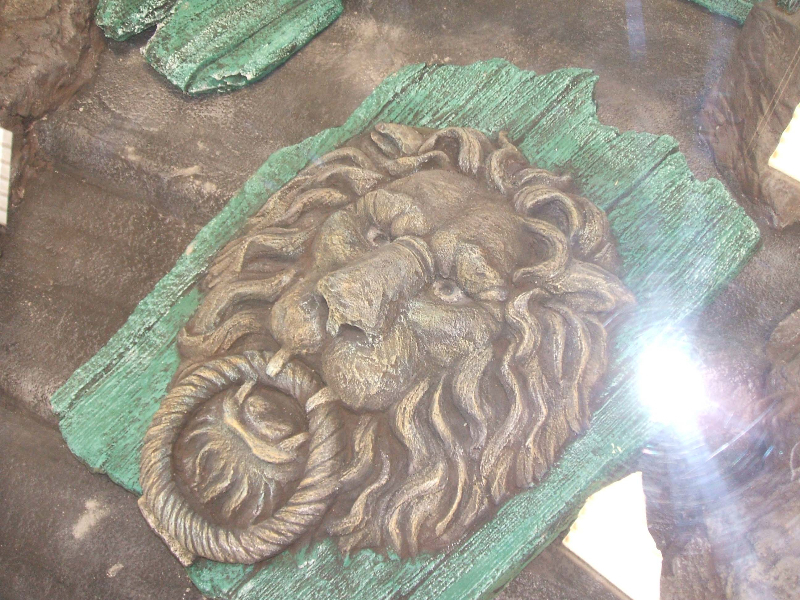 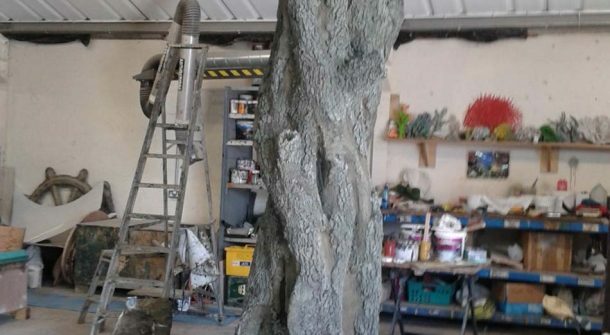 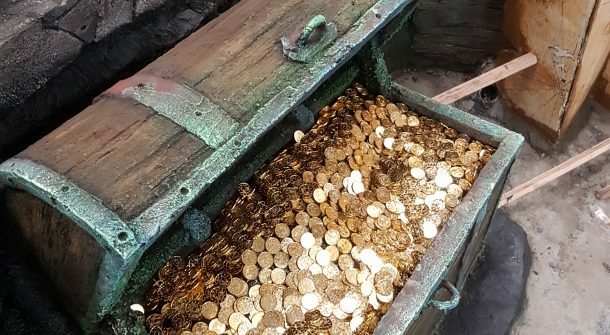 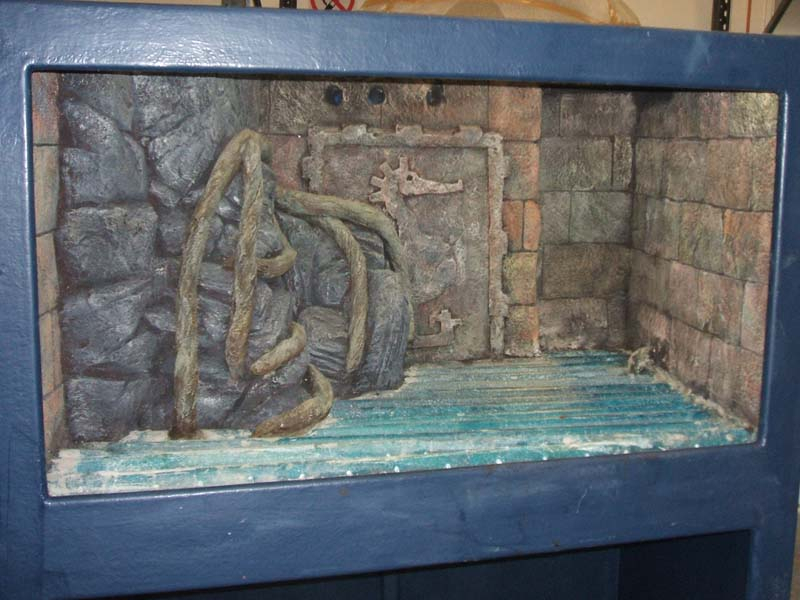 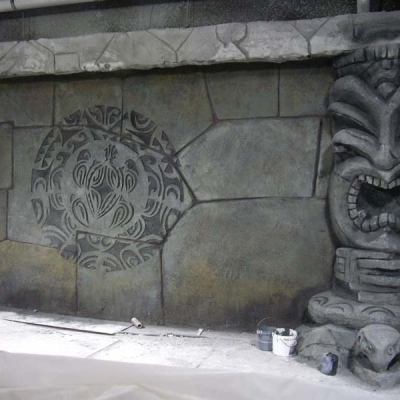 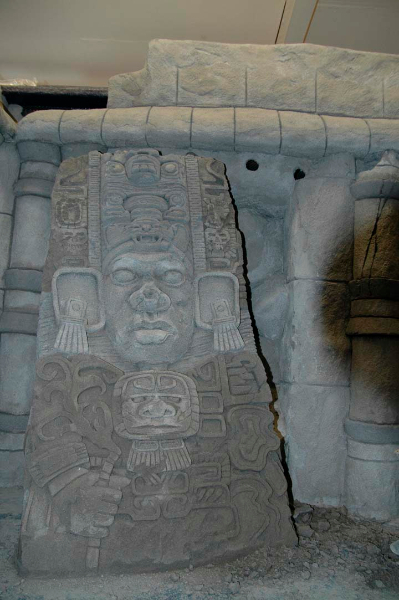 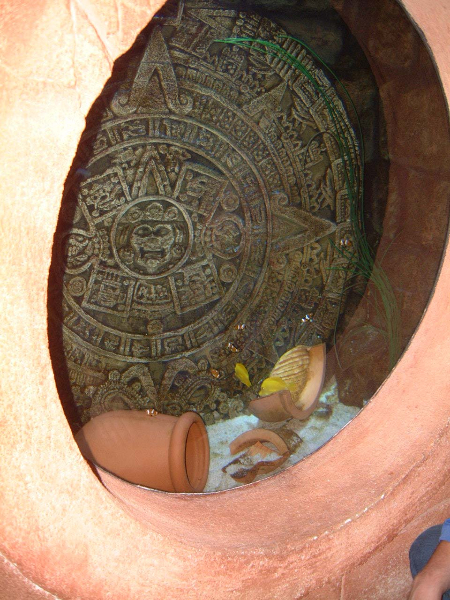 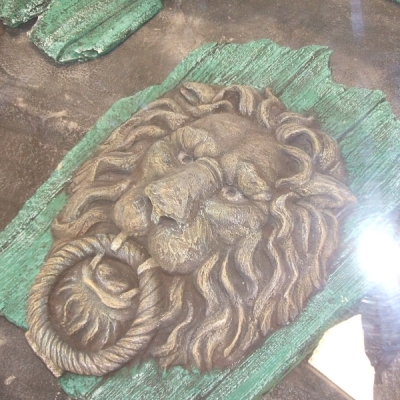 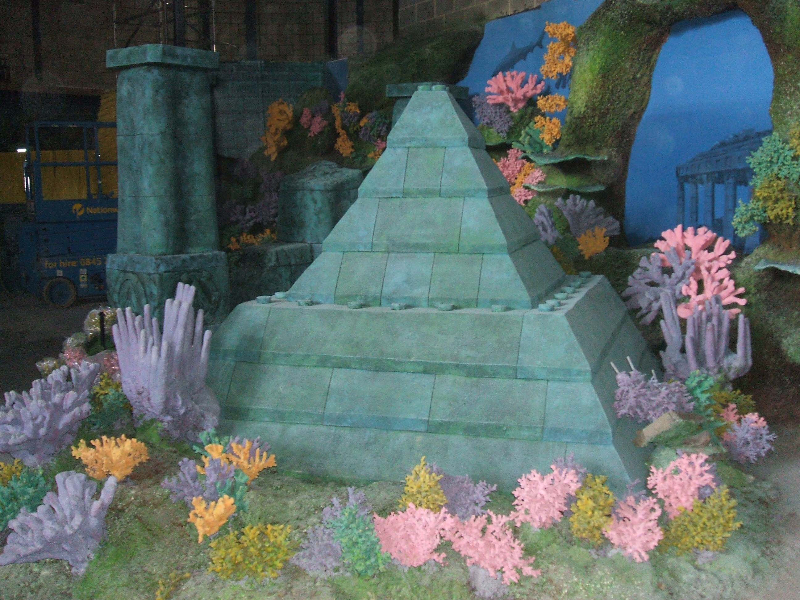 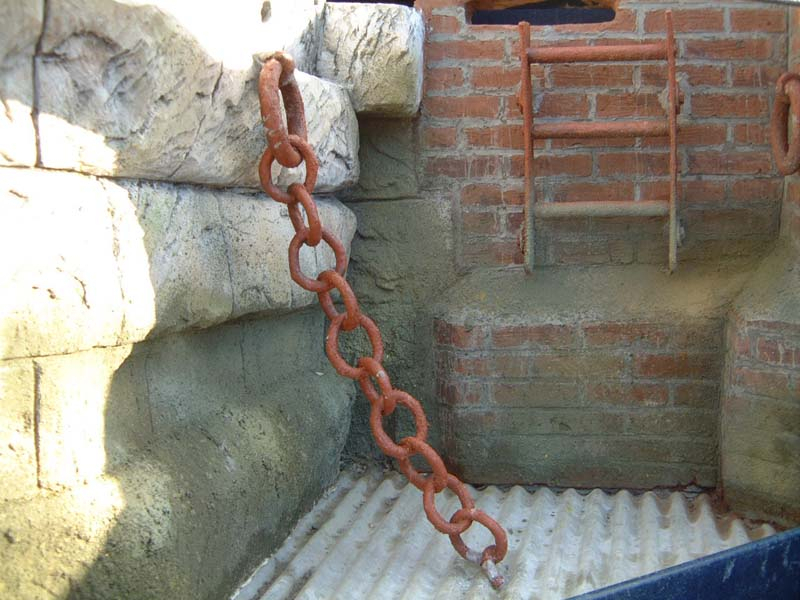 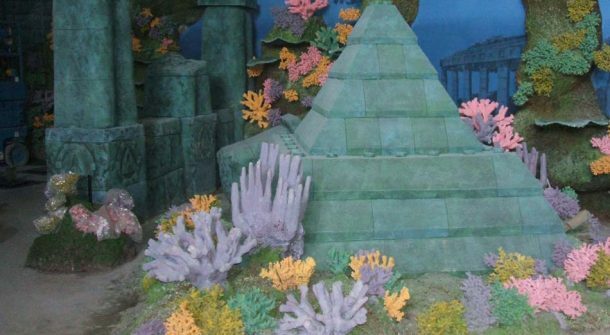 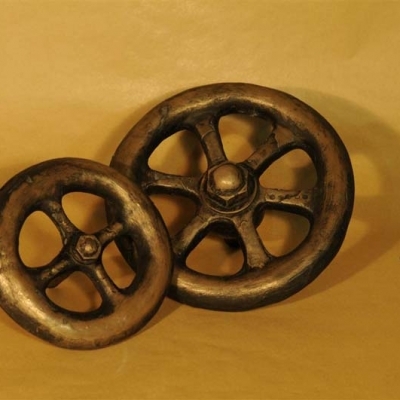 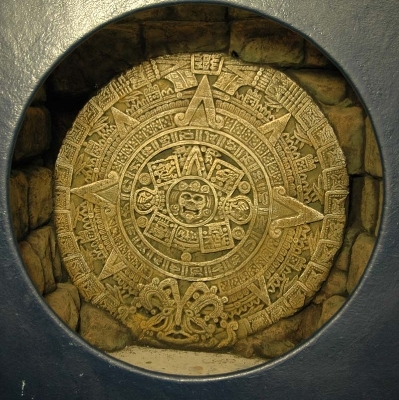 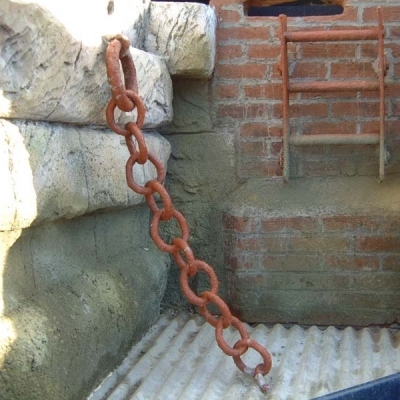 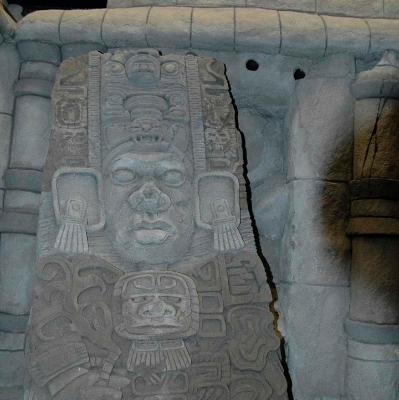 From cannon balls to musket cases and steam boilers to Mayan temple remains, our team of highly skilled sculptors can create that special feature to make your display unique.